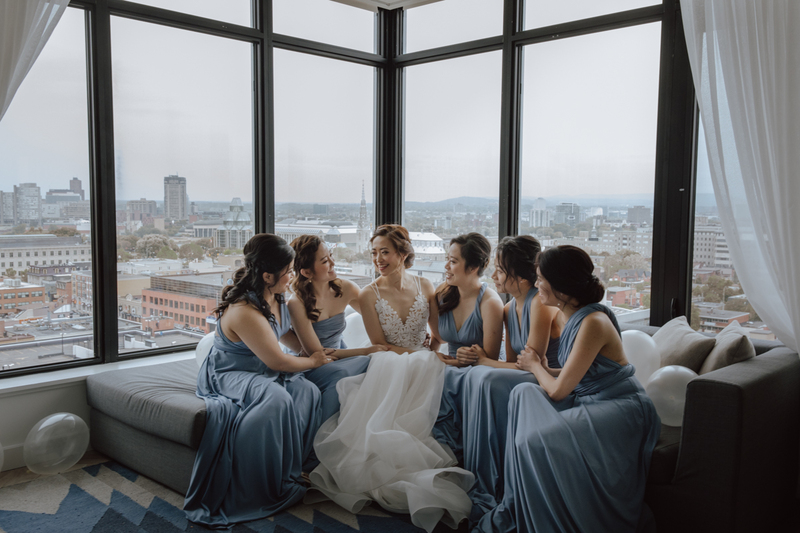 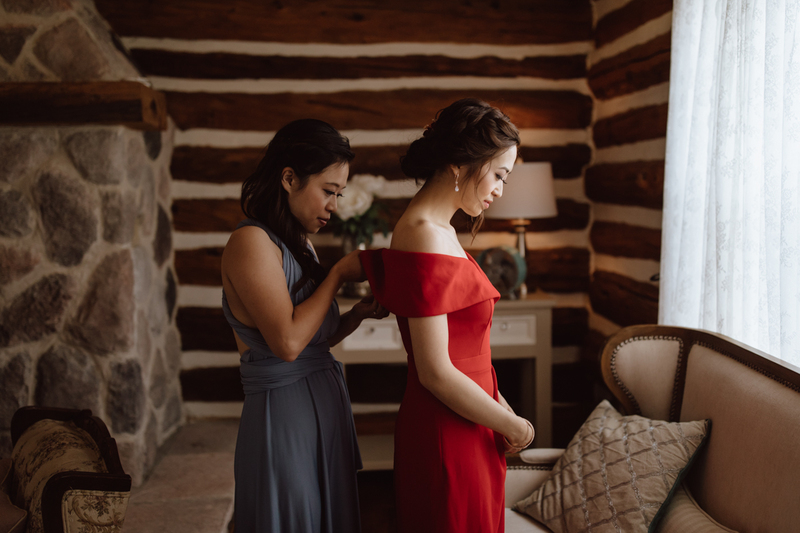 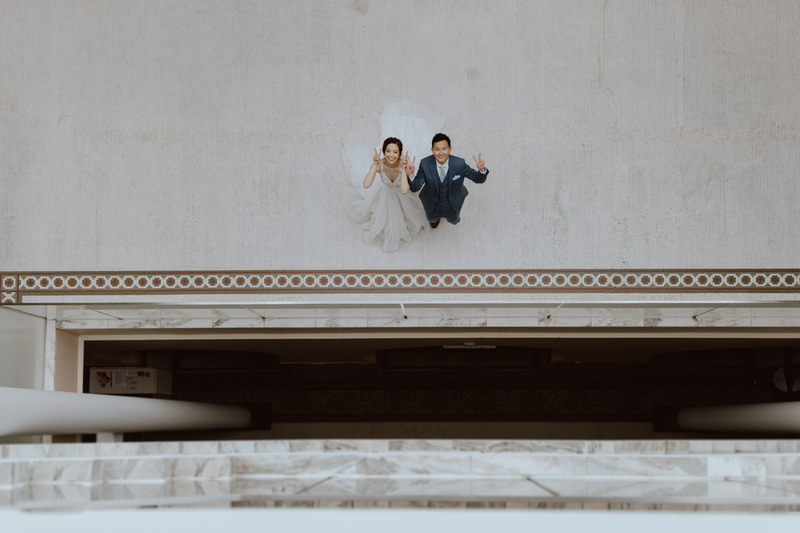 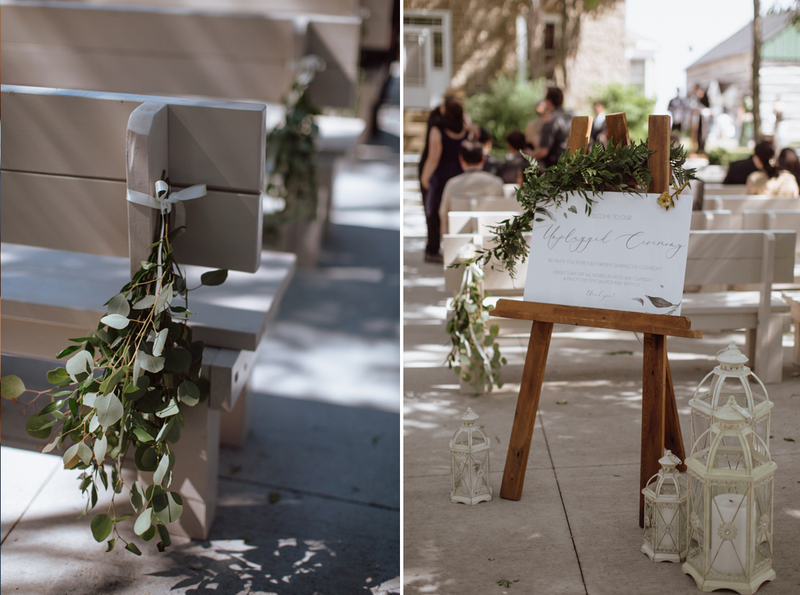 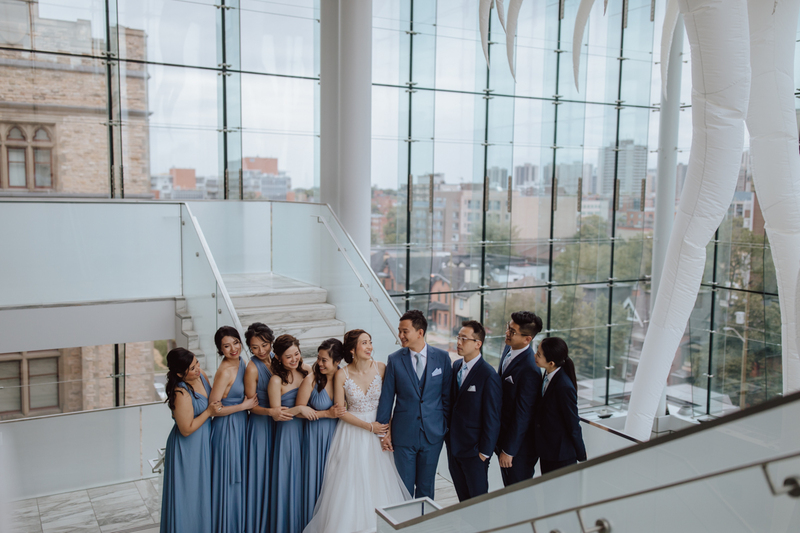 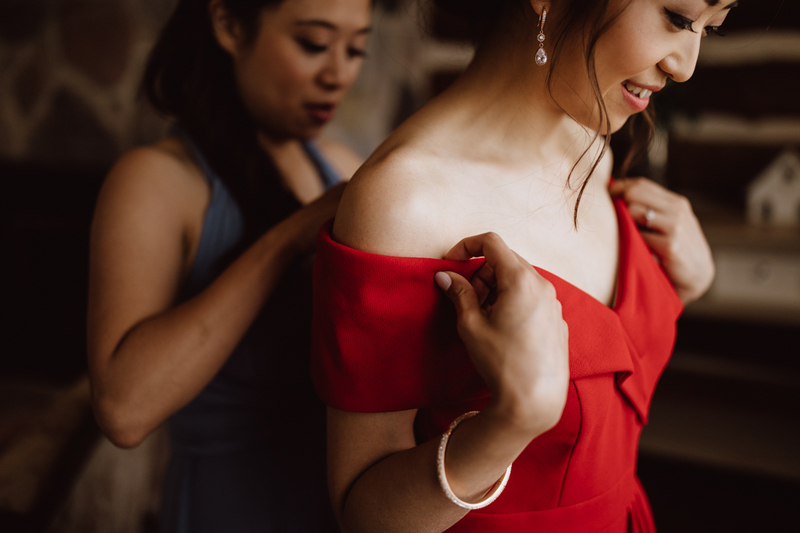 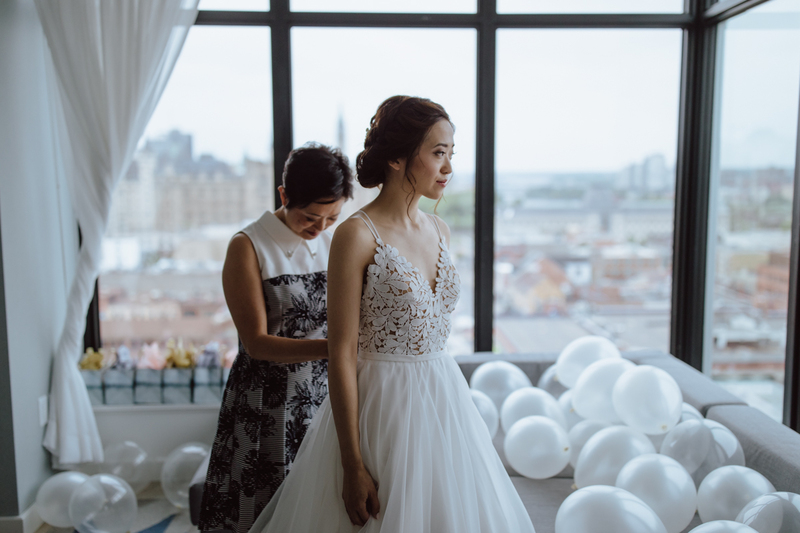 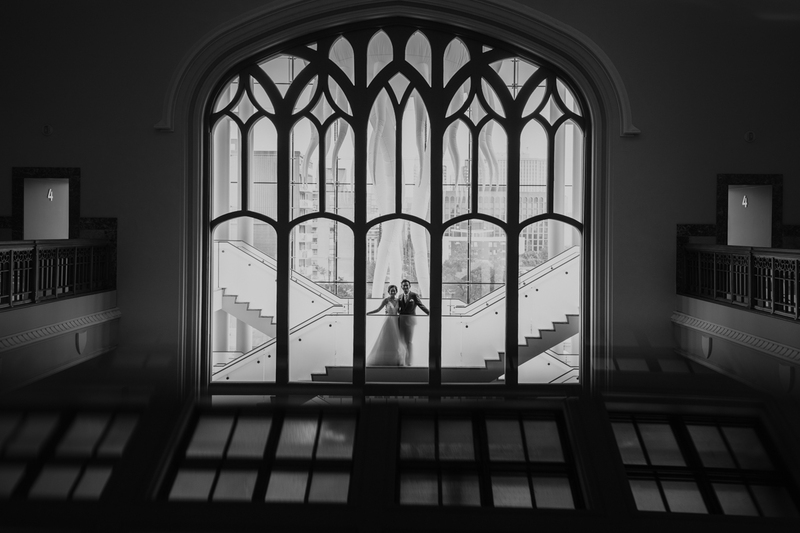 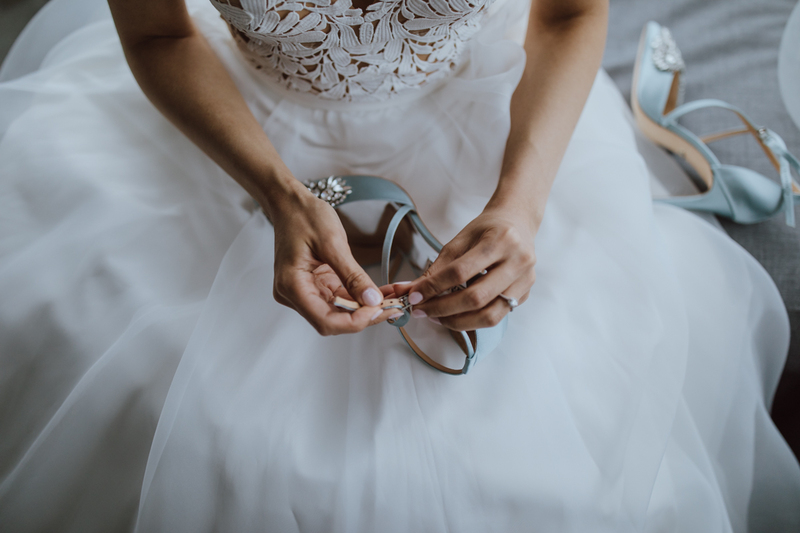 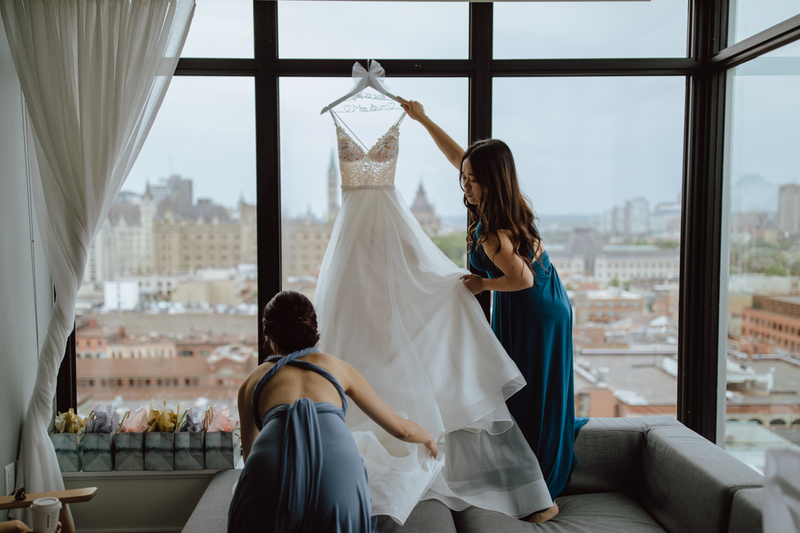 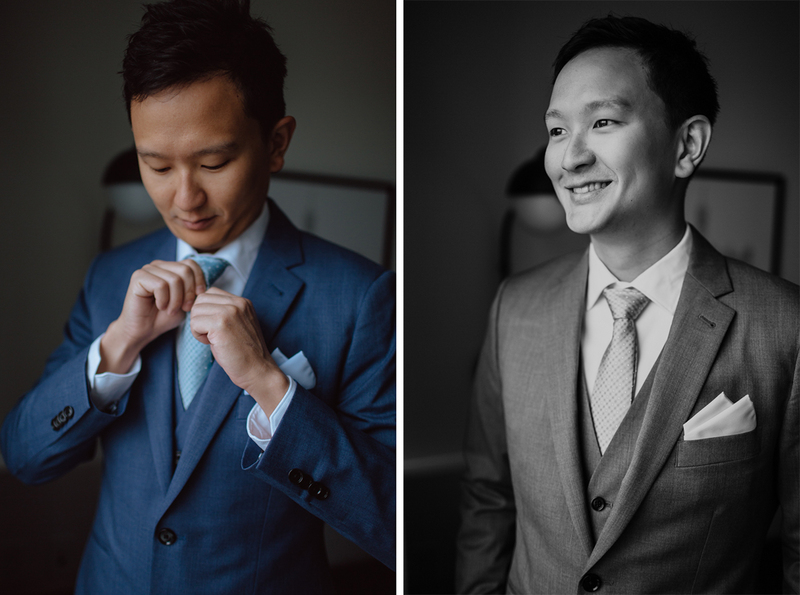 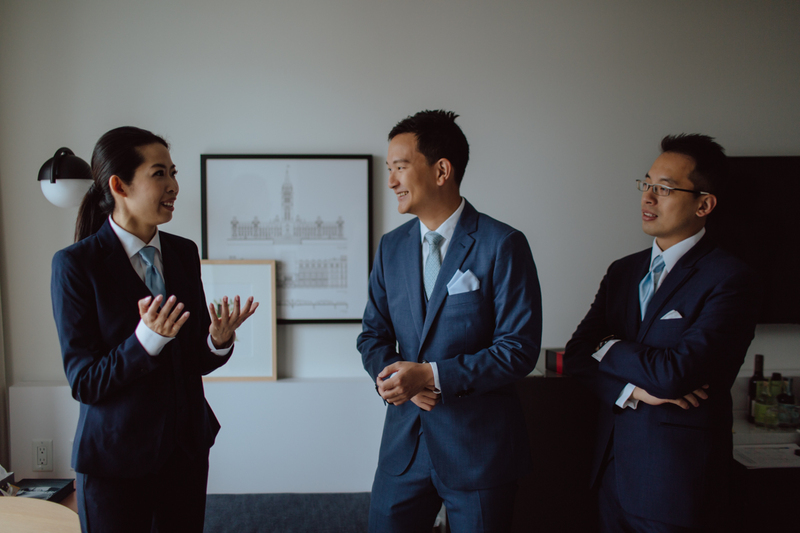 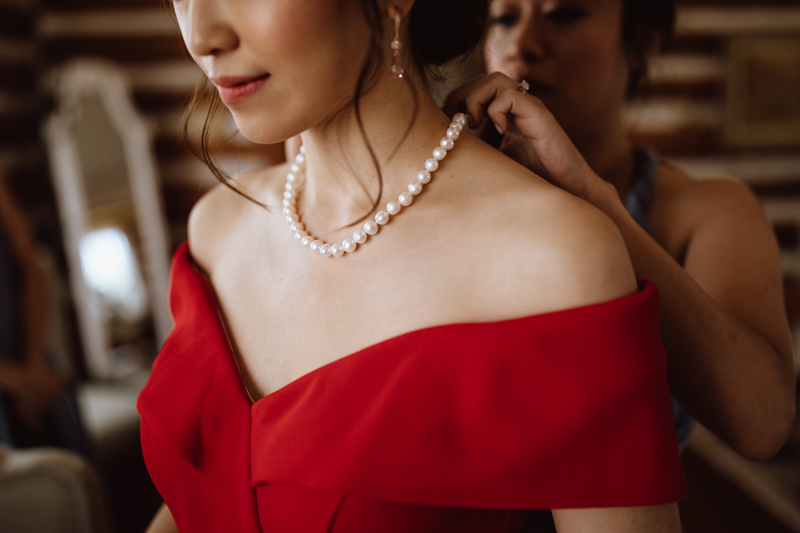 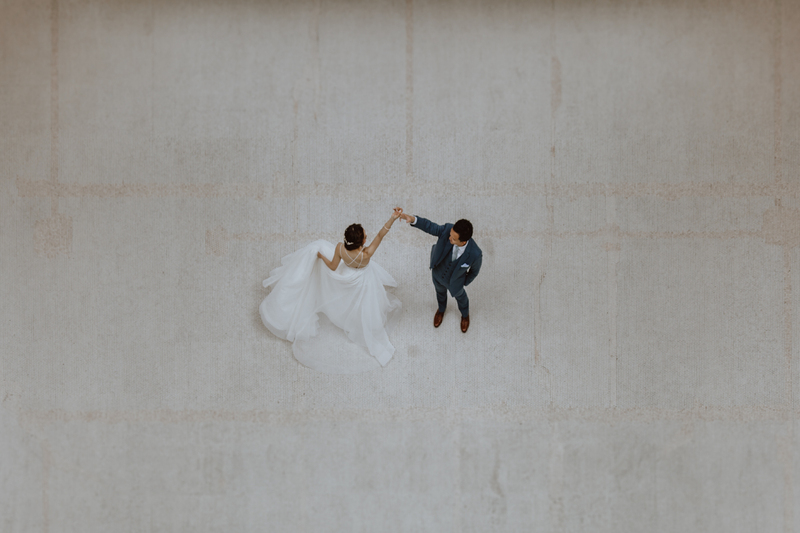 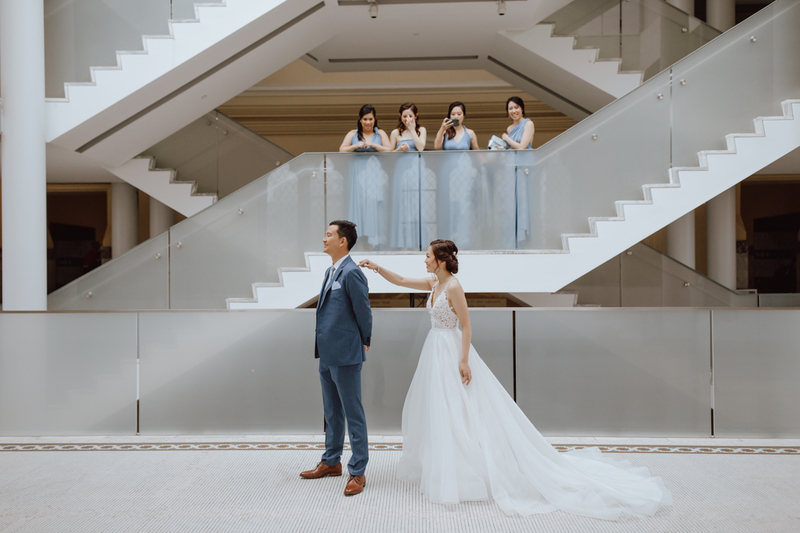 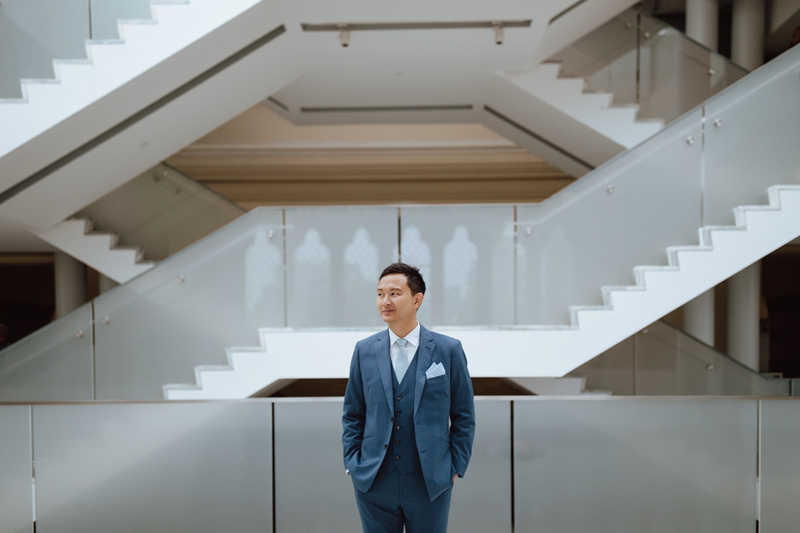 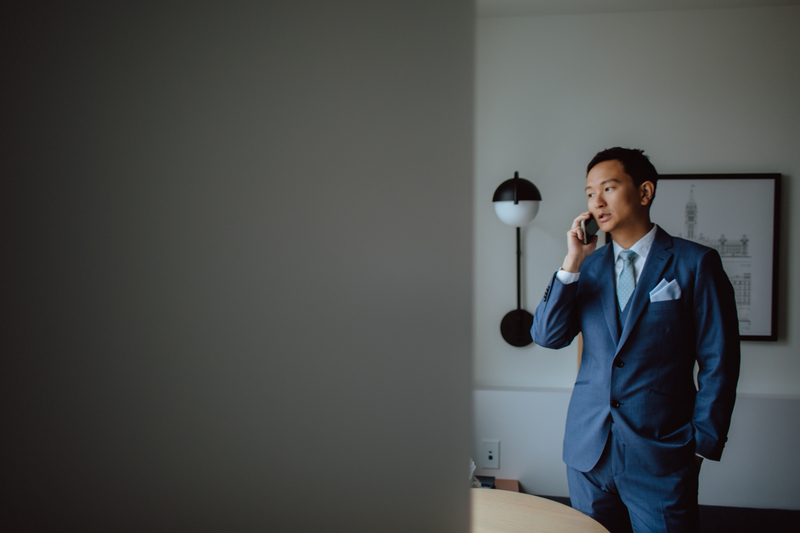 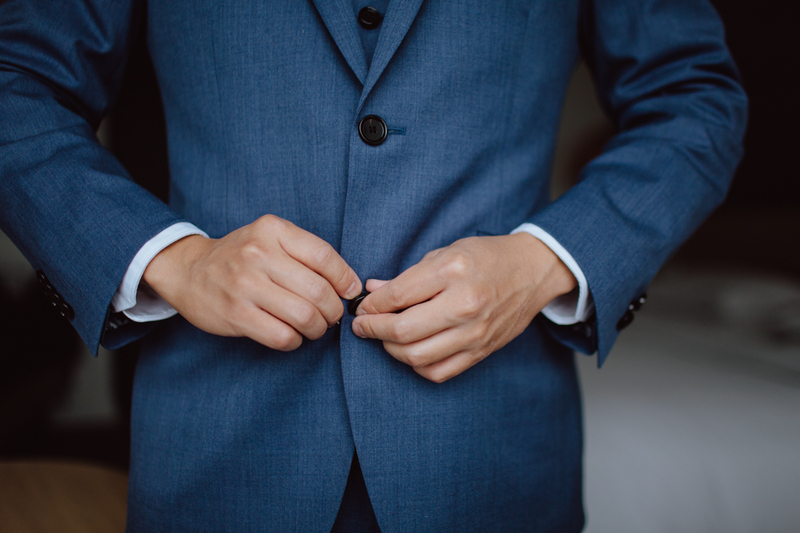 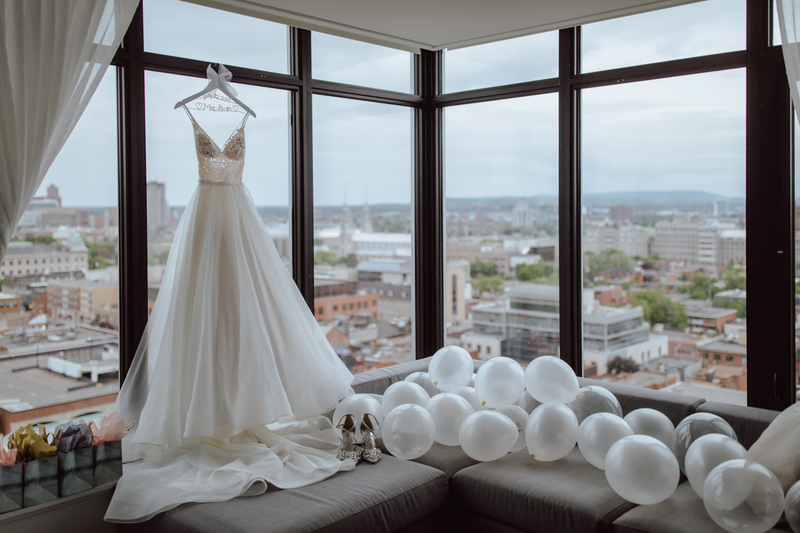 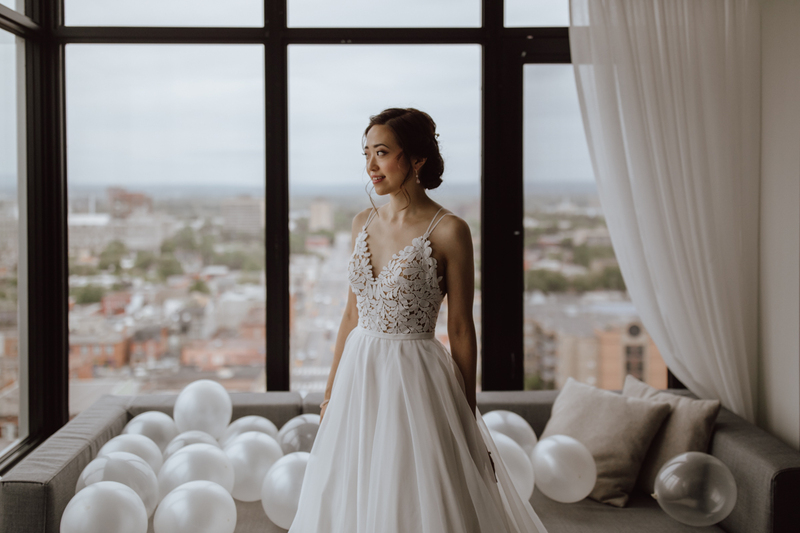 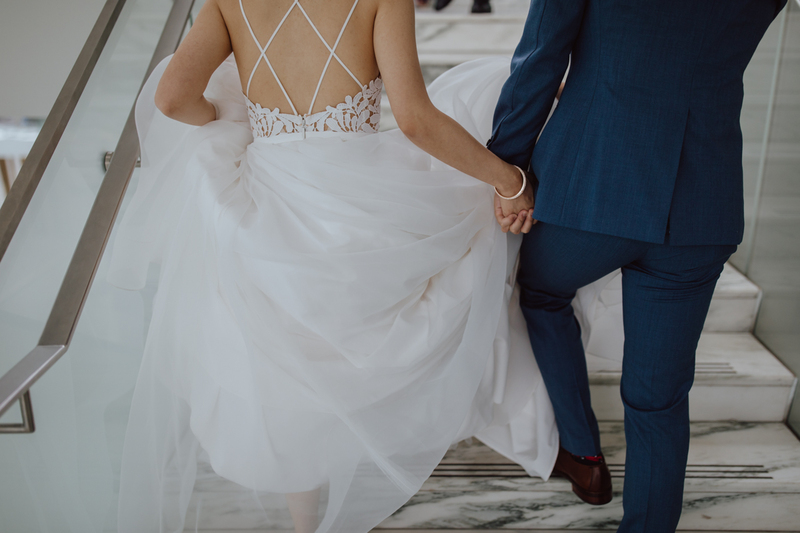 Danica and Eric started the day at Andaz in the Byward market and then headed to their first look and portraits at the Museum of nature (Danica was one of the Architects who worked on restoring the museum!). 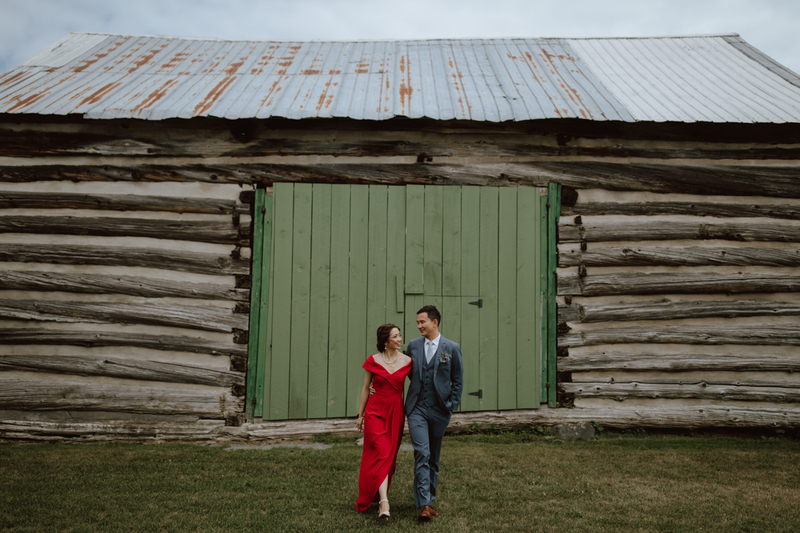 Afterwards, we all drove to Carleton Place to prepare for their beautiful Stonefields wedding. 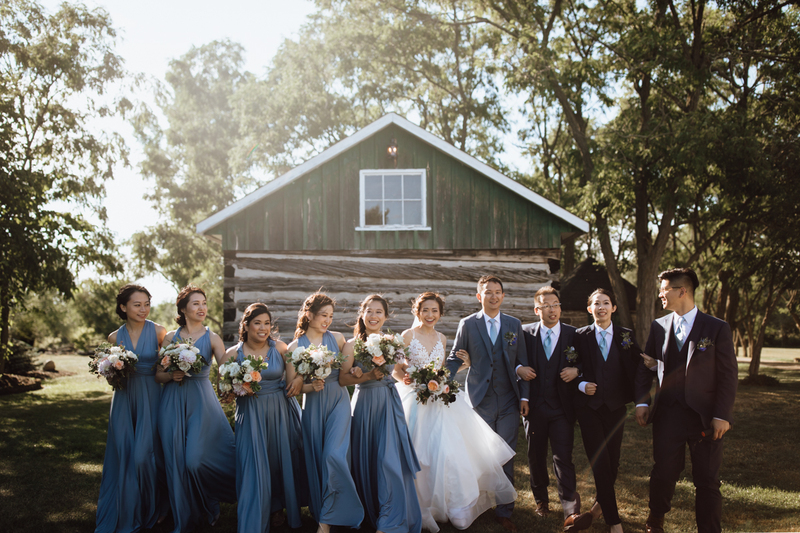 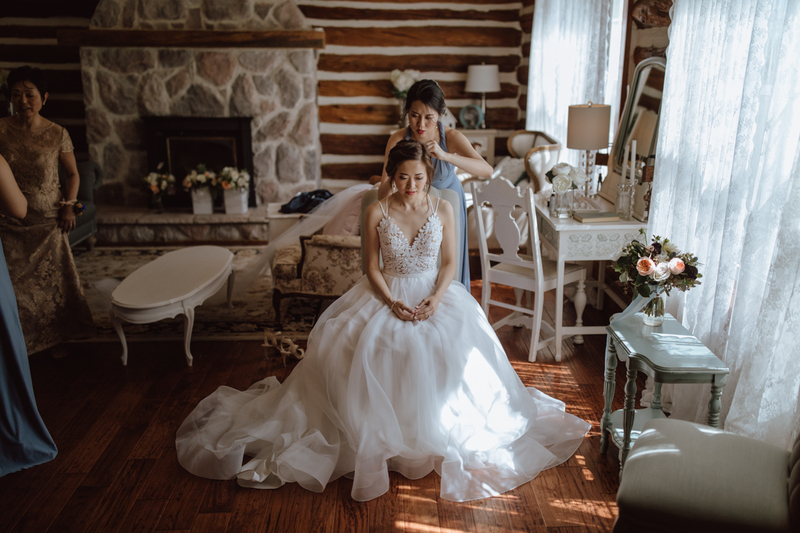 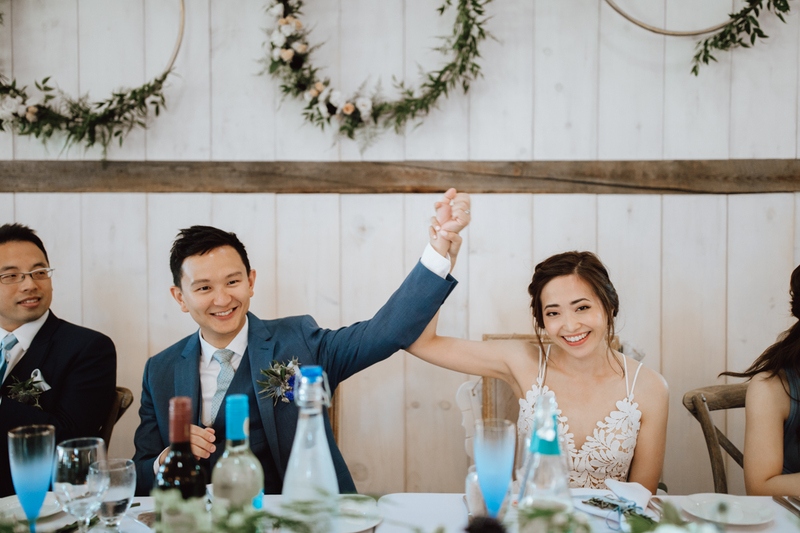 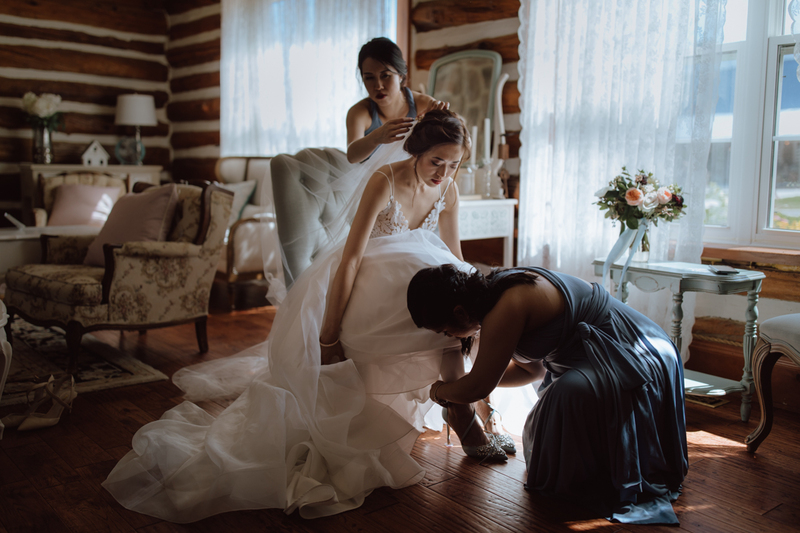 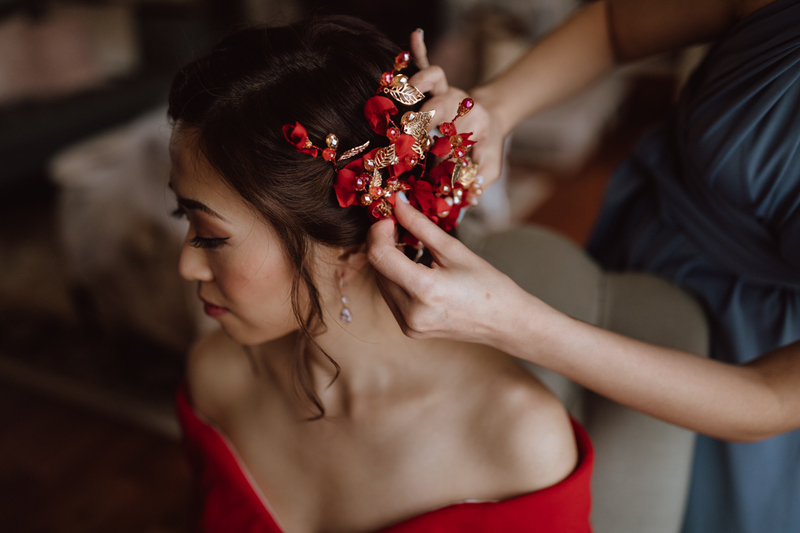 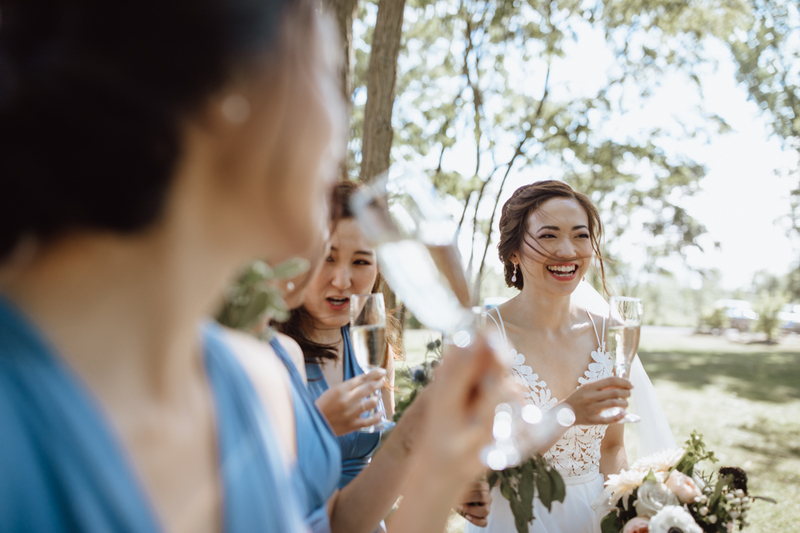 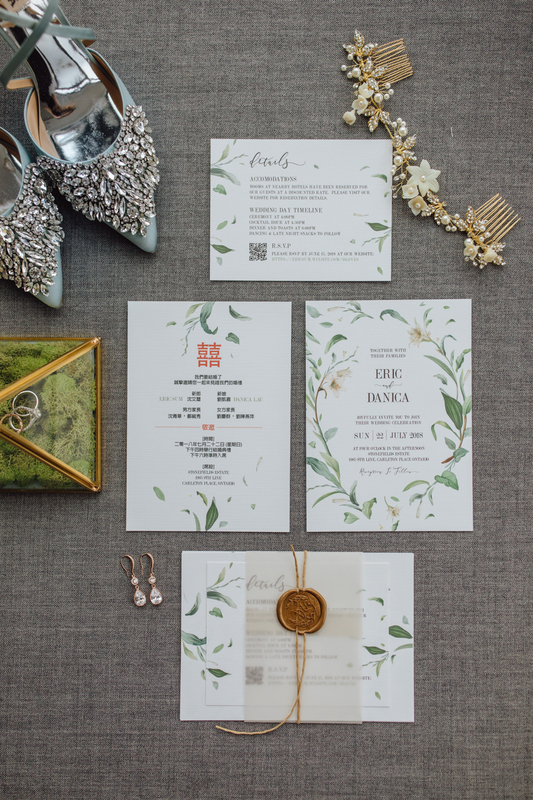 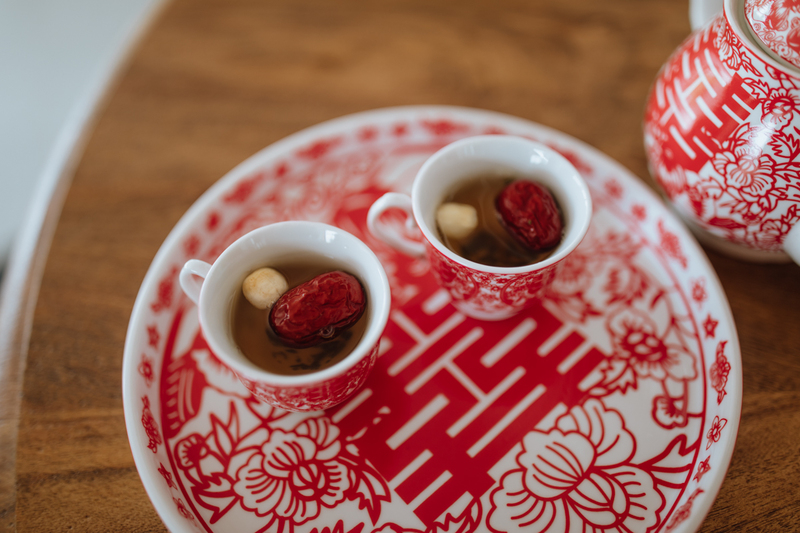 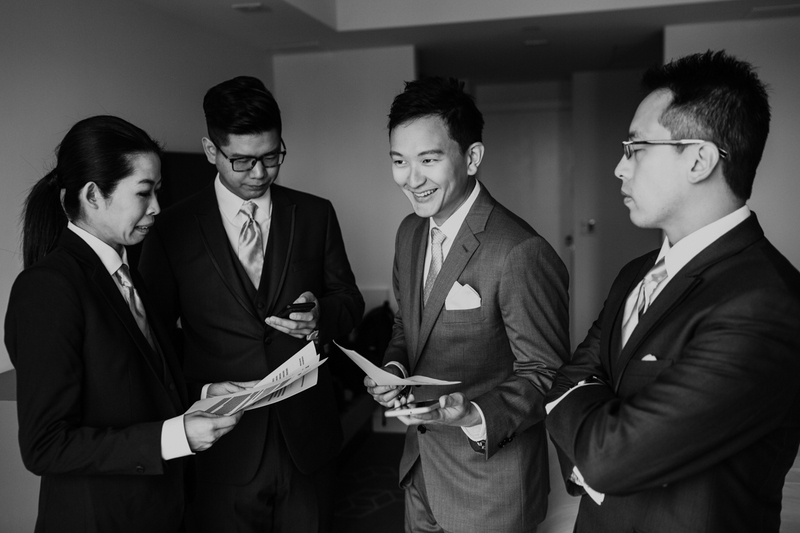 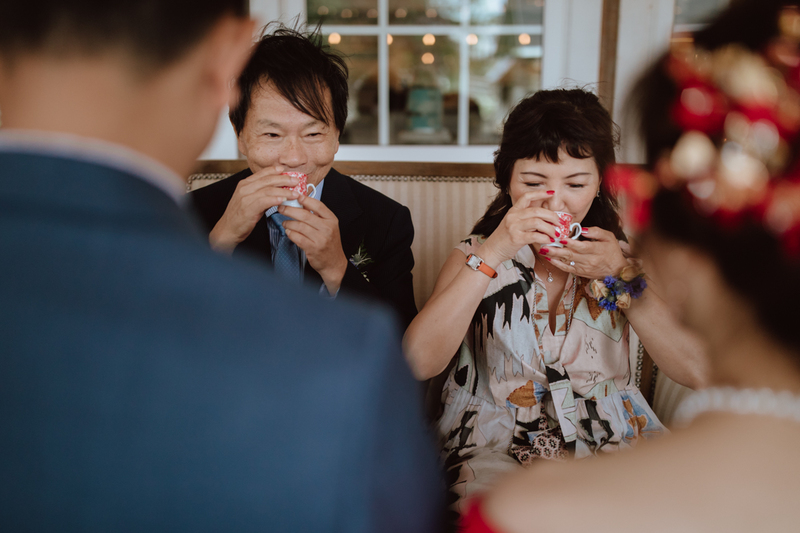 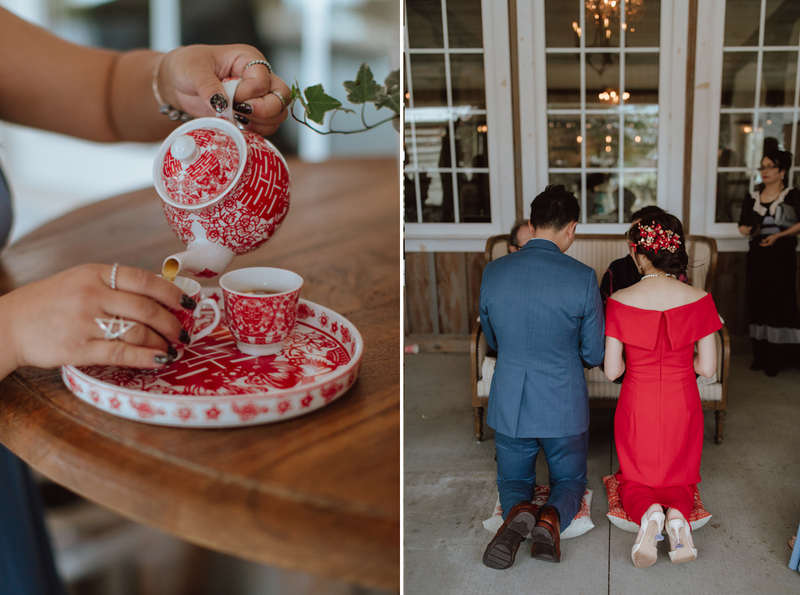 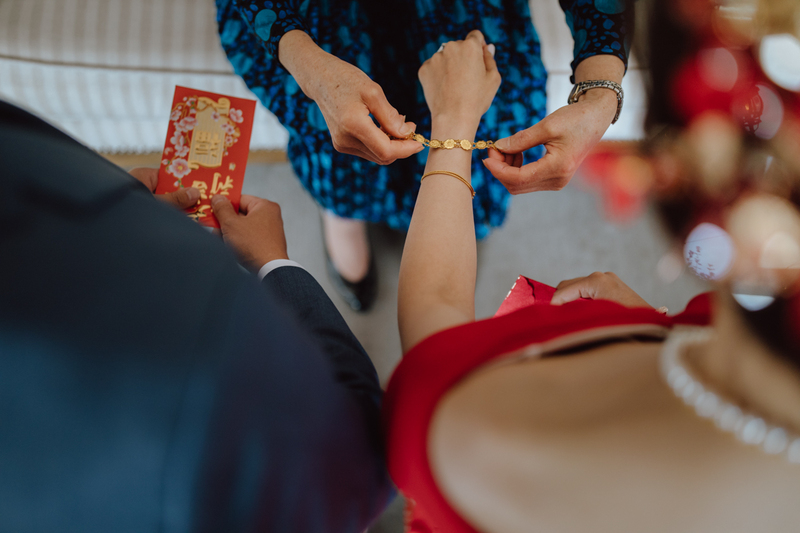 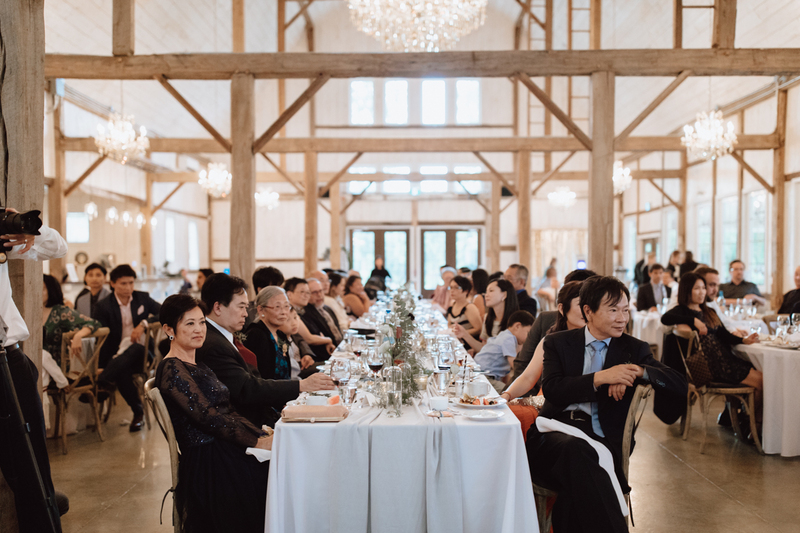 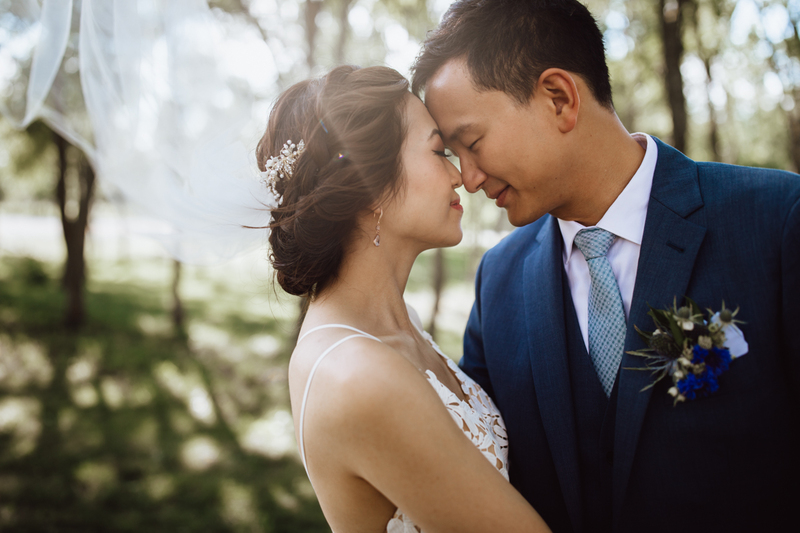 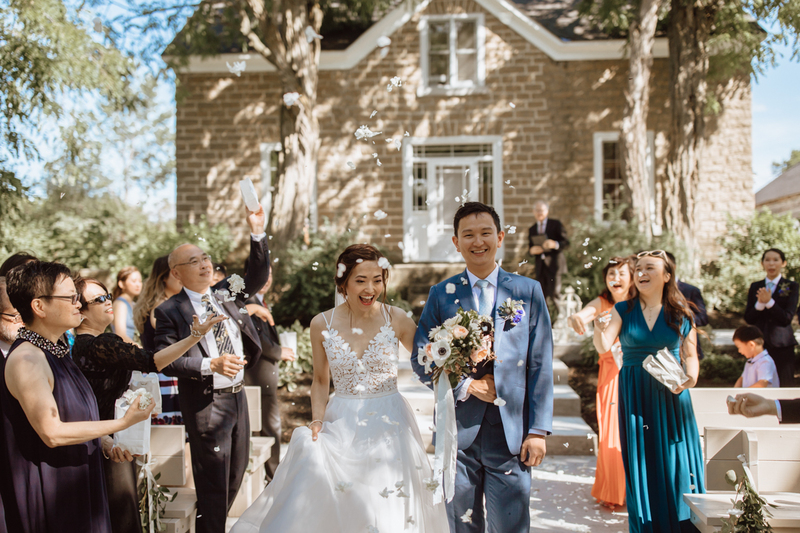 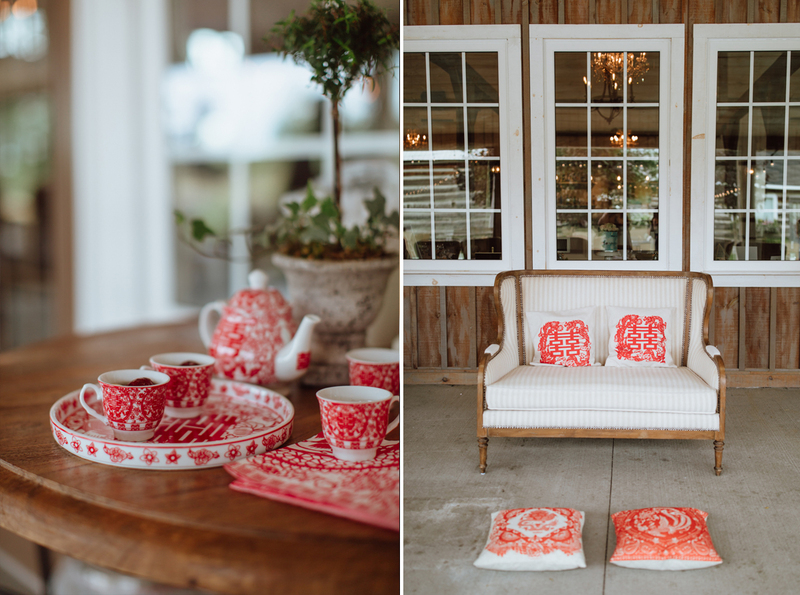 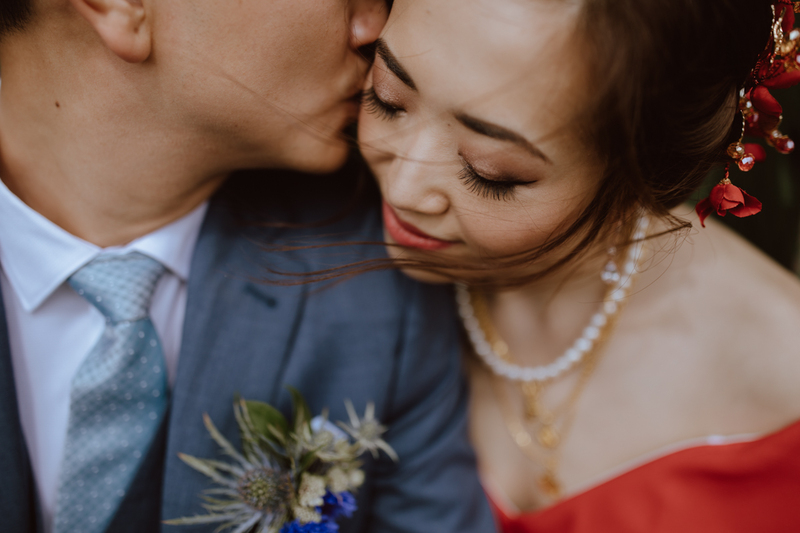 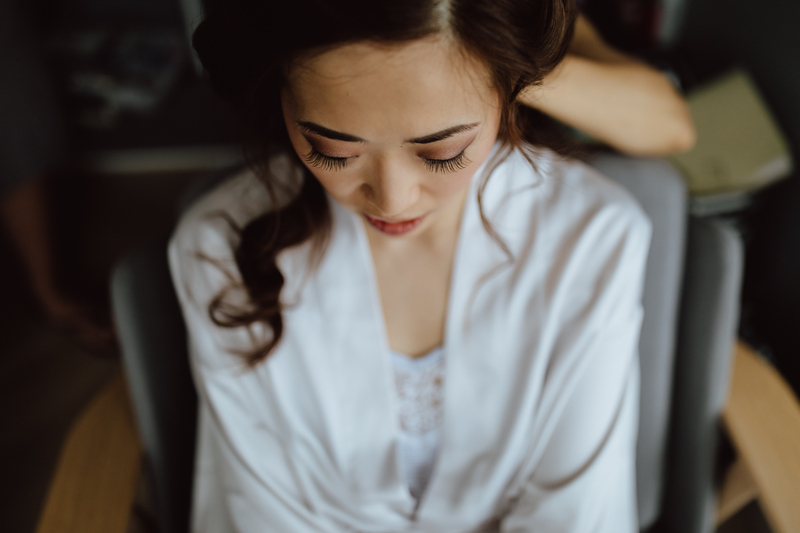 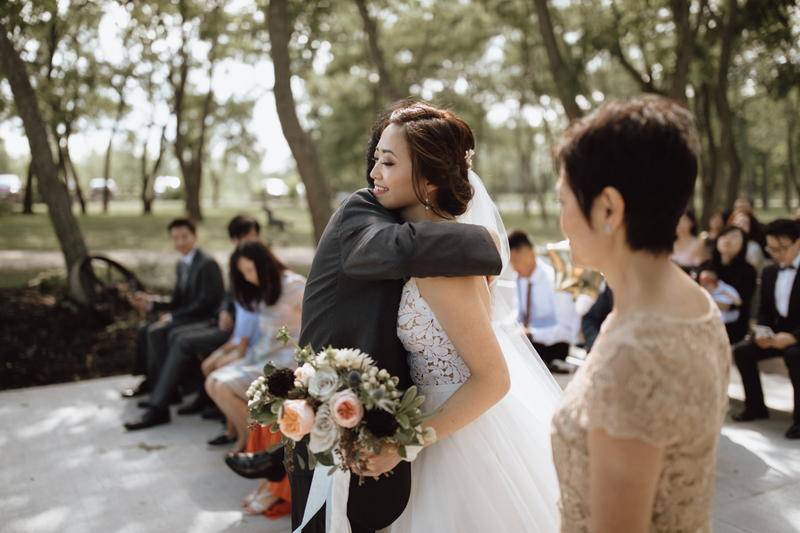 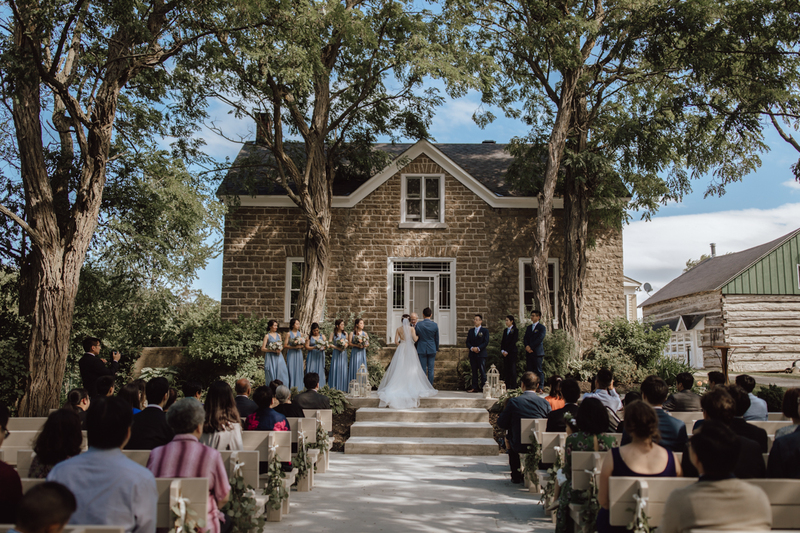 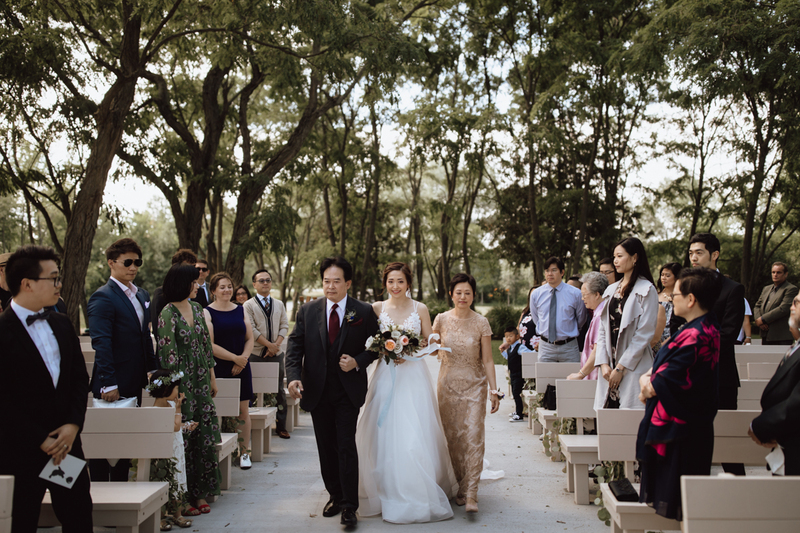 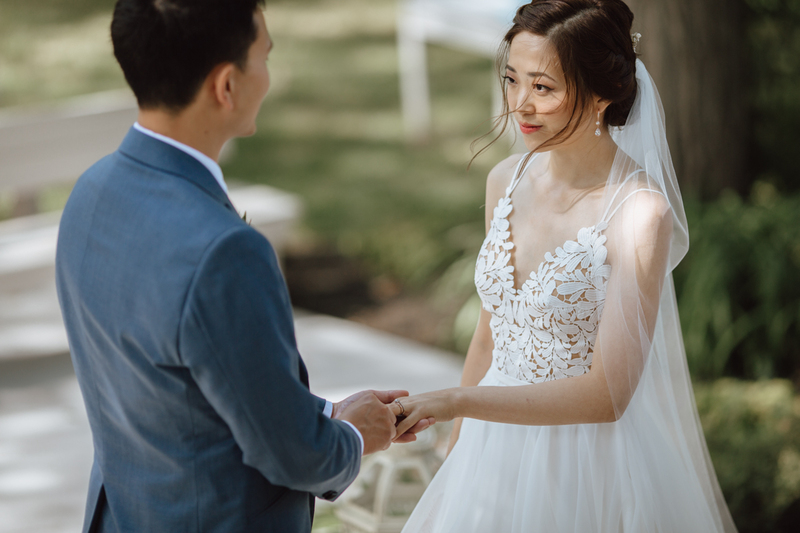 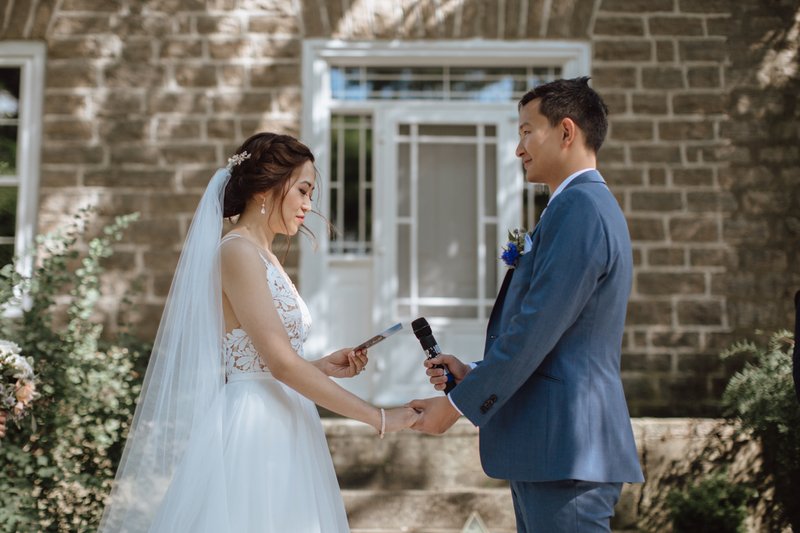 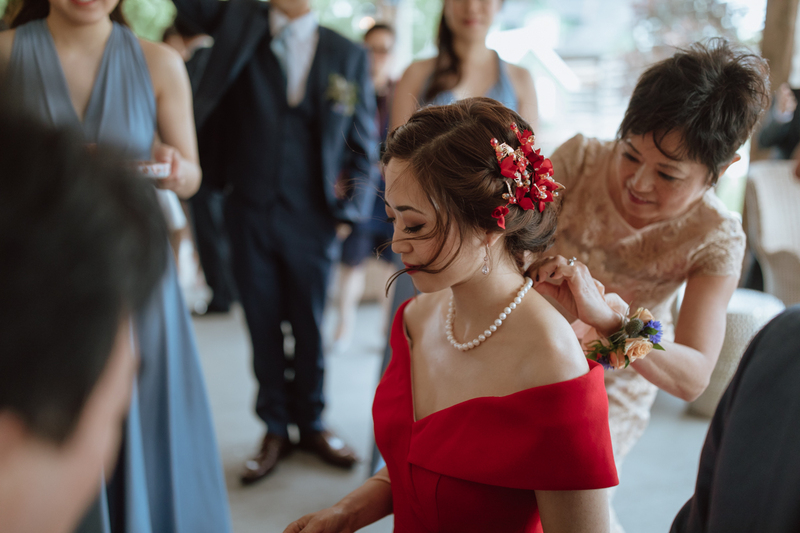 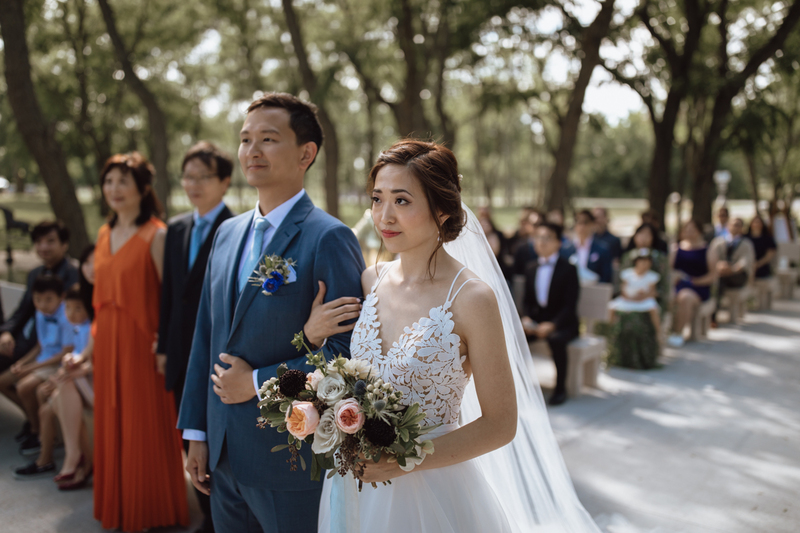 We started the afternoon with their tea ceremony, surrounded by family which moved quickly into their ceremony in front of the farm house in front of all the guests. 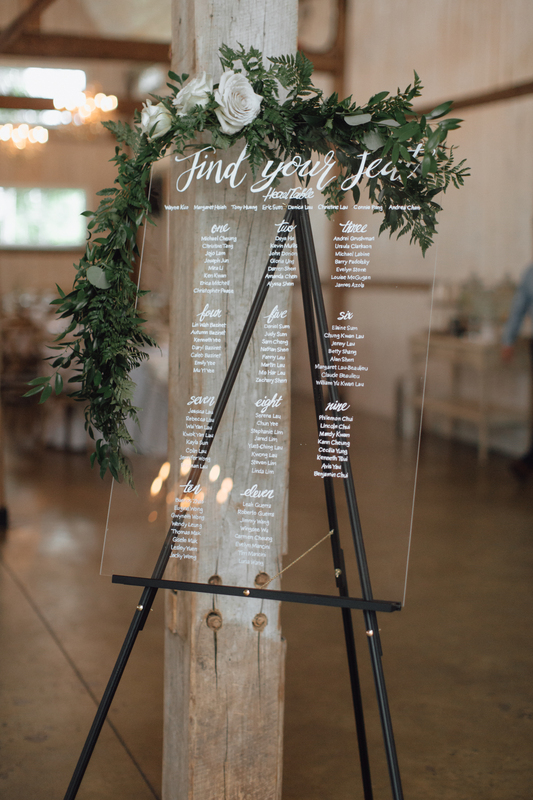 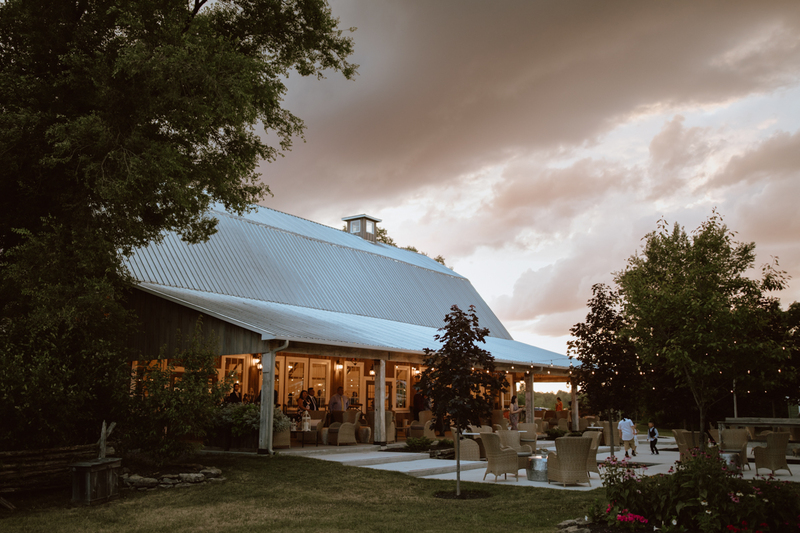 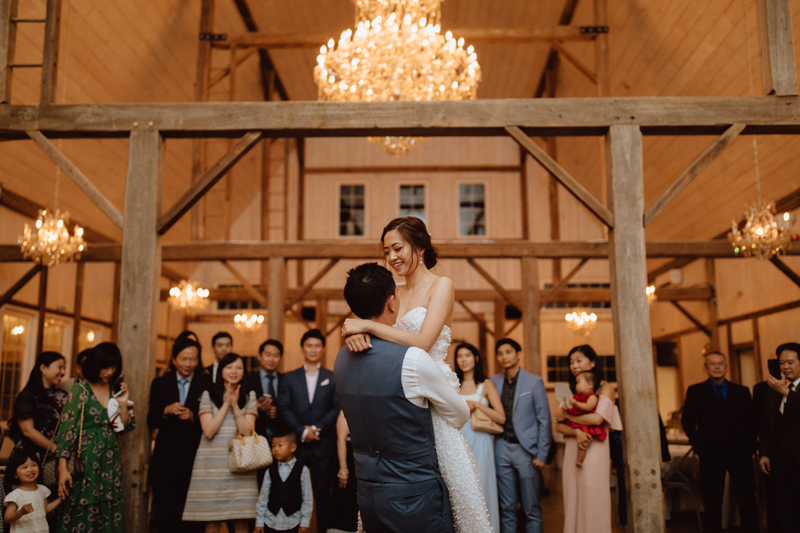 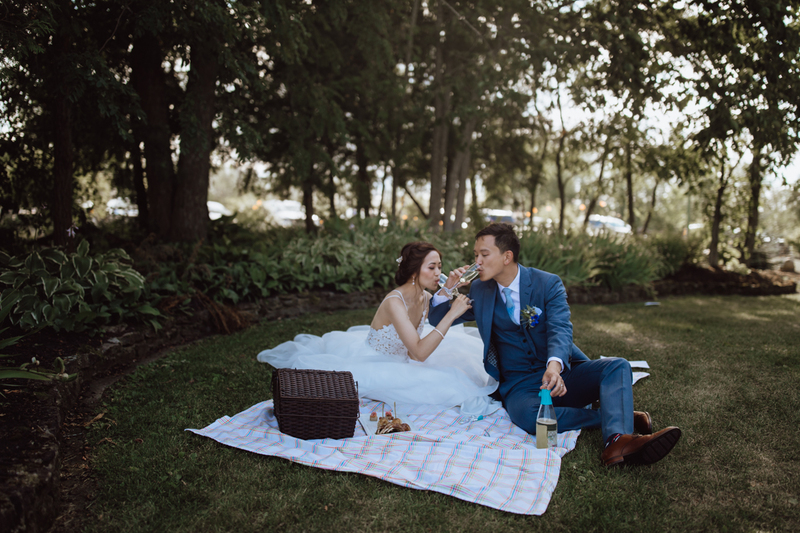 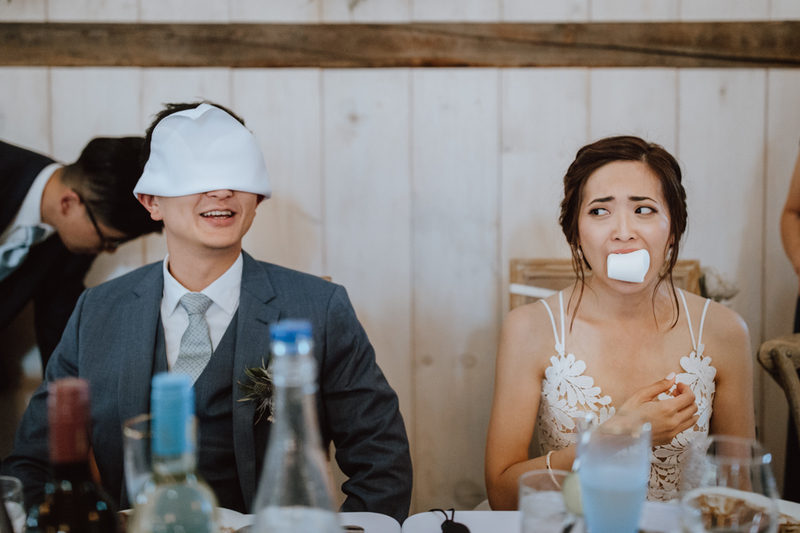 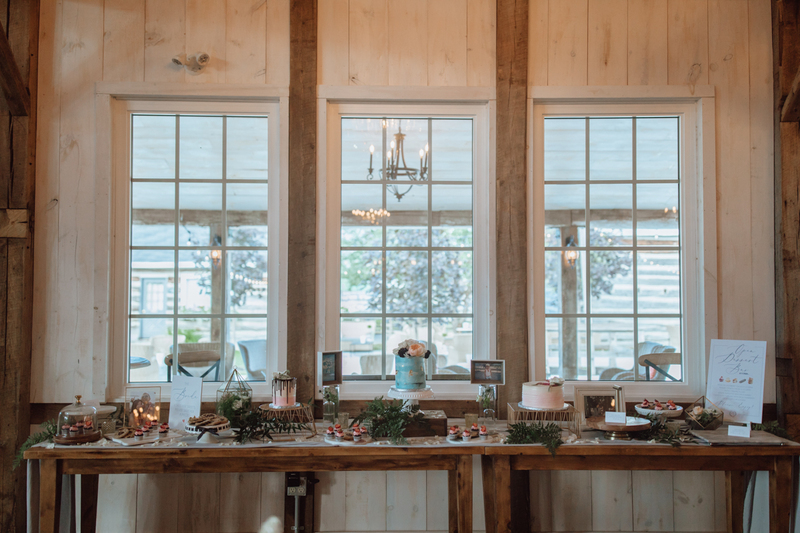 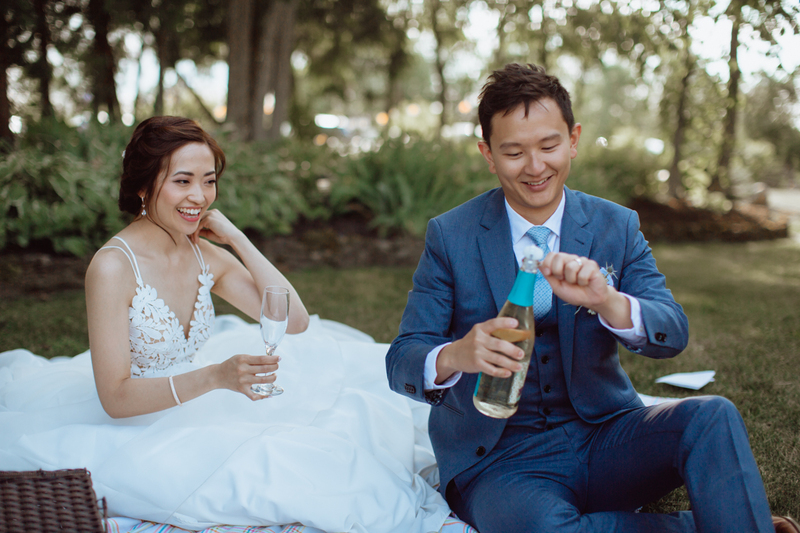 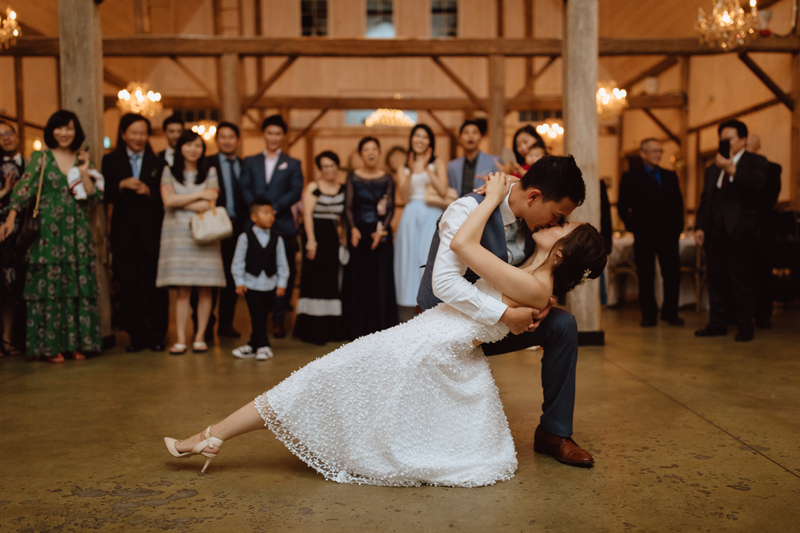 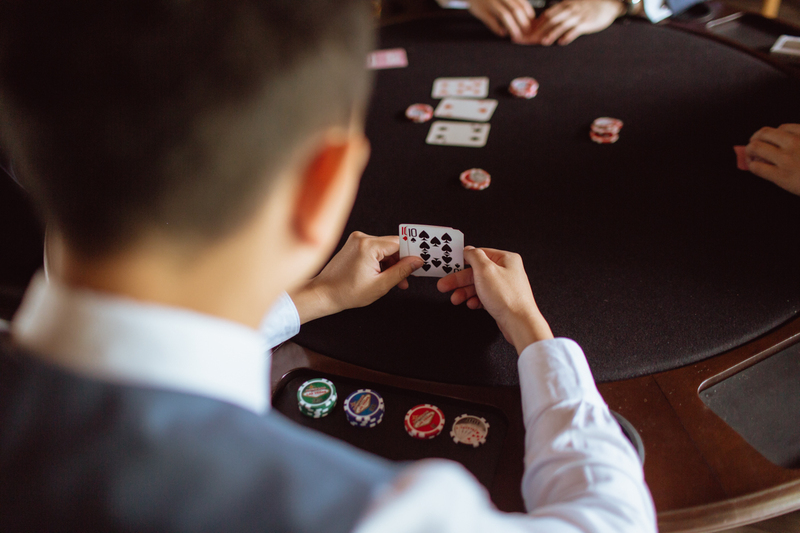 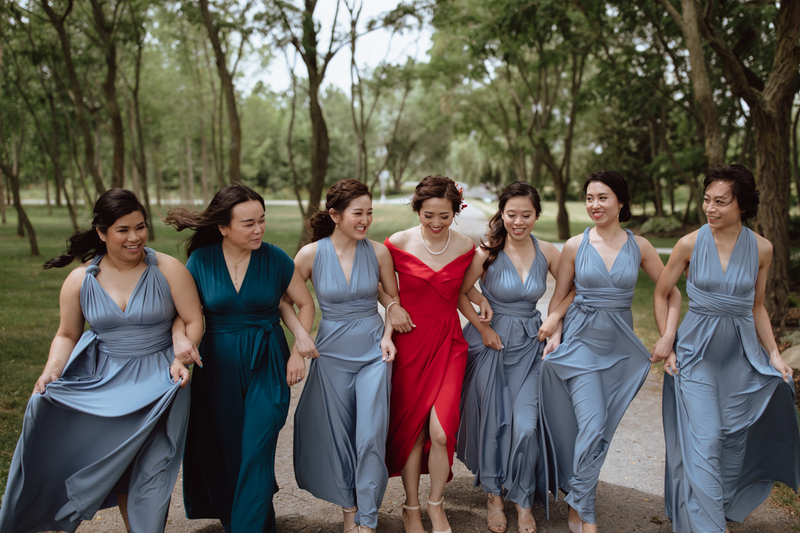 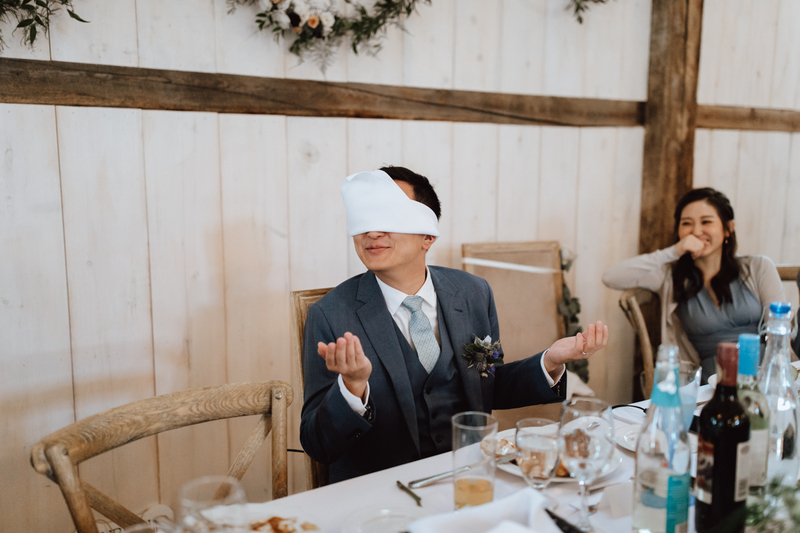 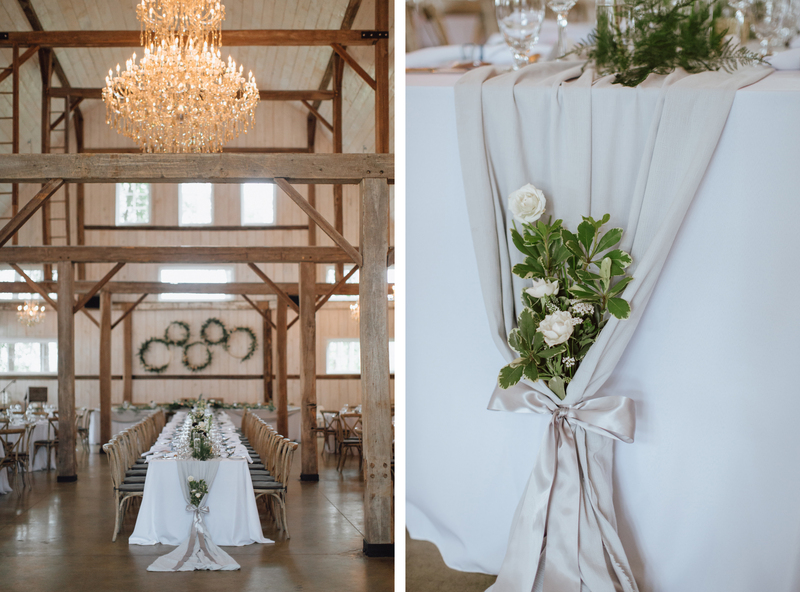 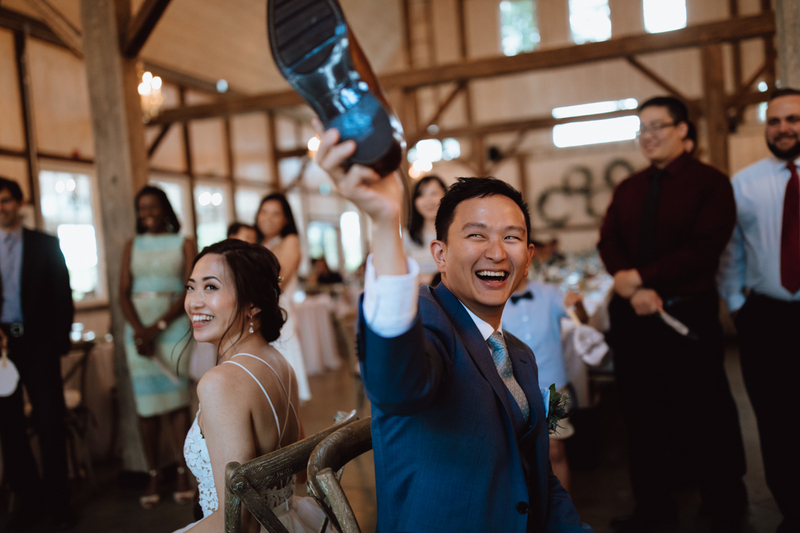 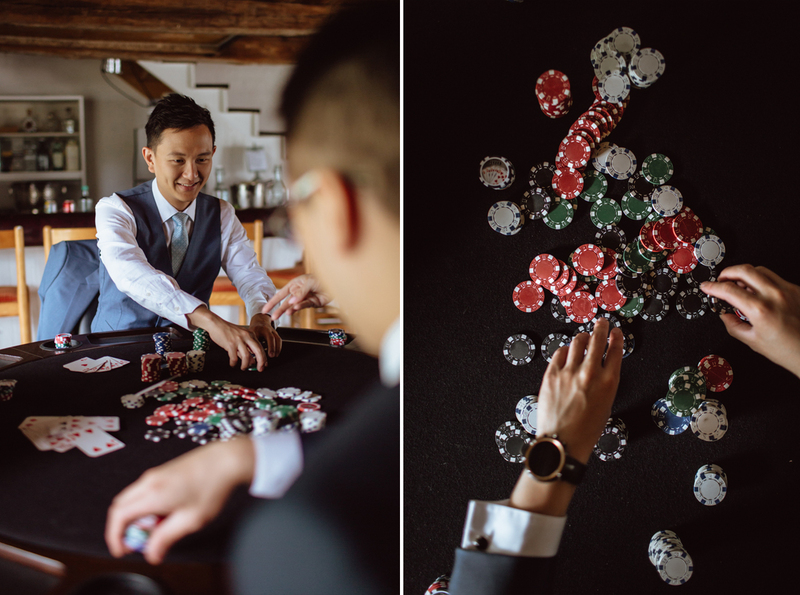 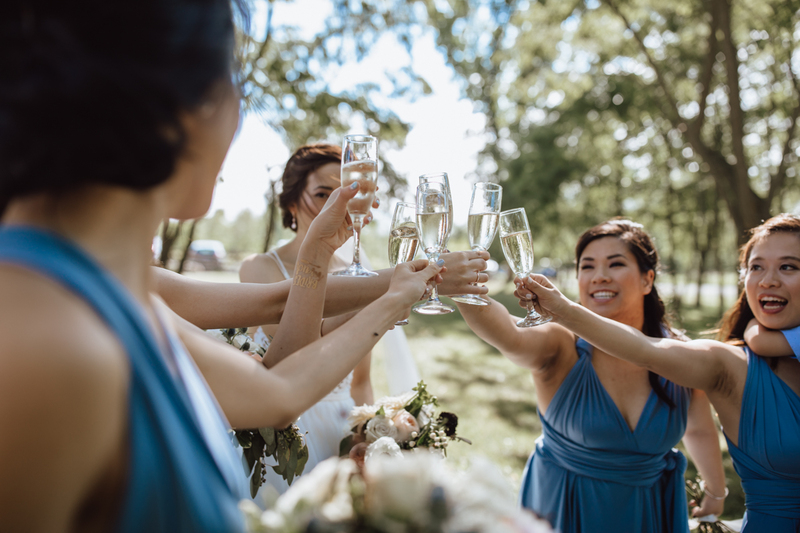 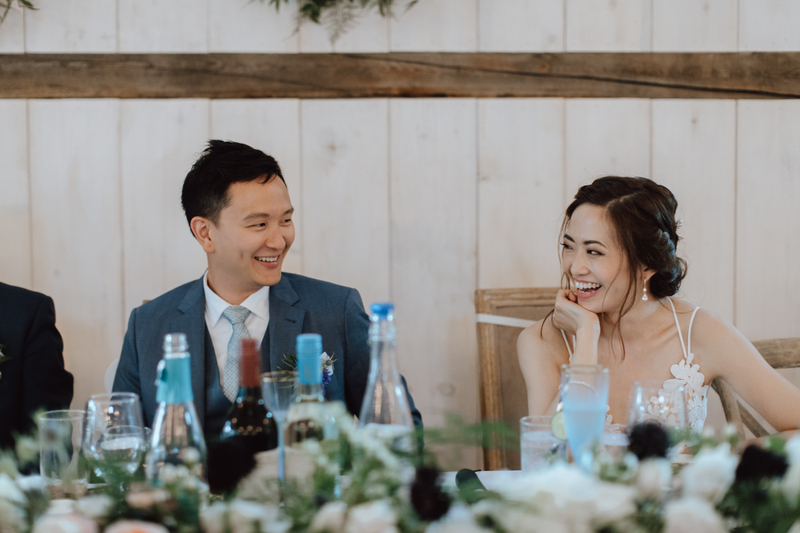 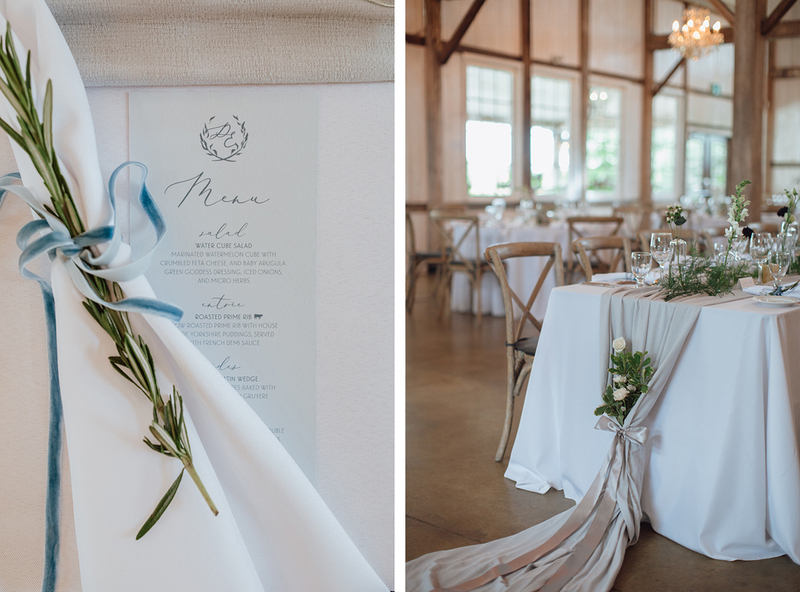 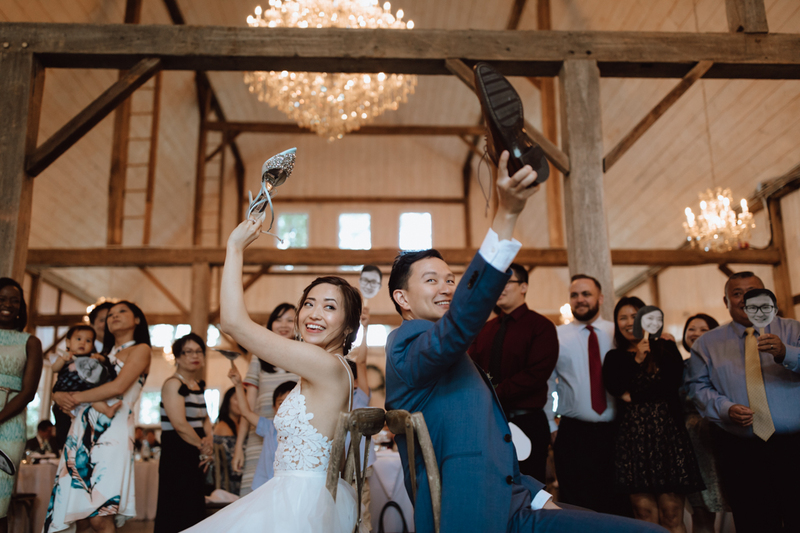 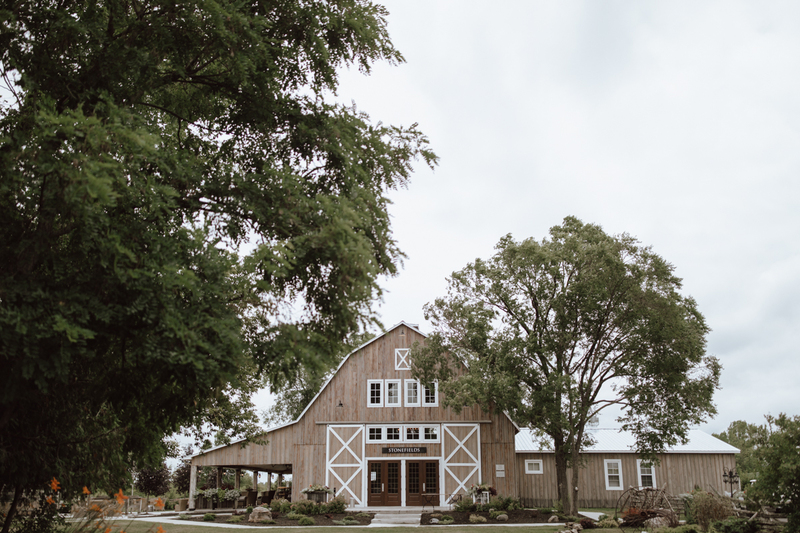 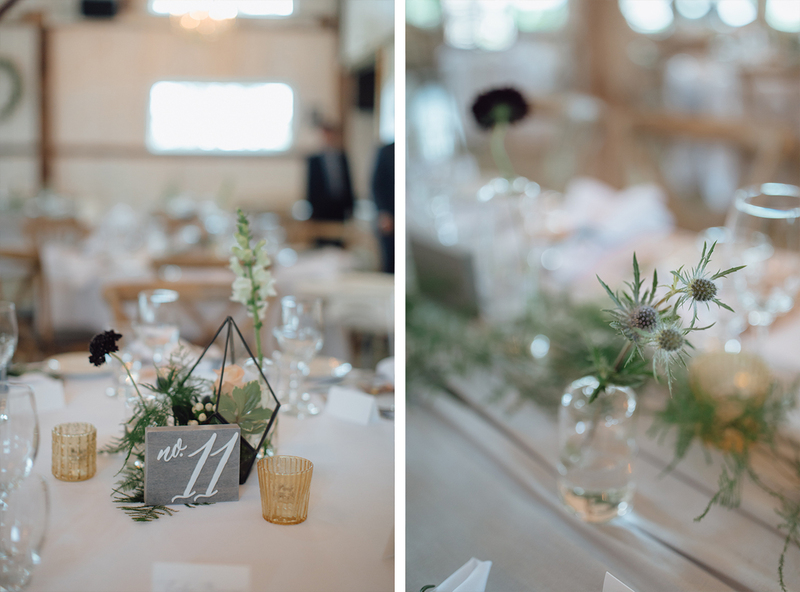 After some portraits and a small picnic, everyone moved into the barn for drinks, food, and some hilarious reception games. 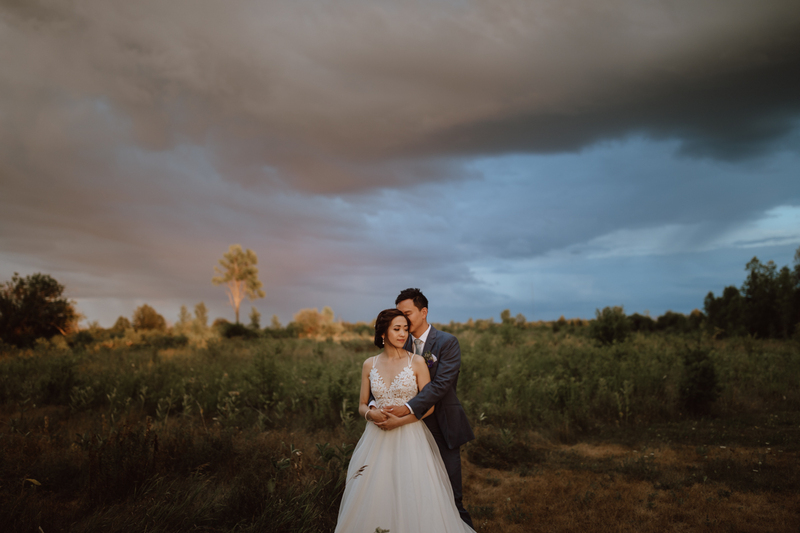 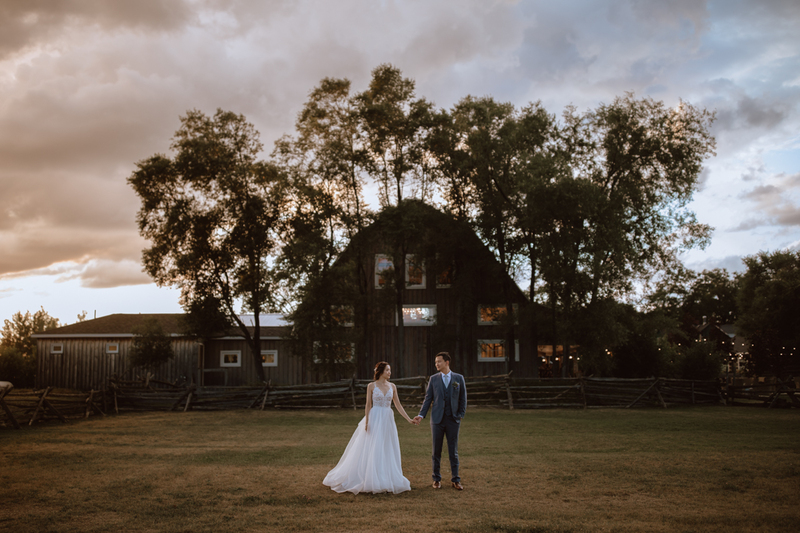 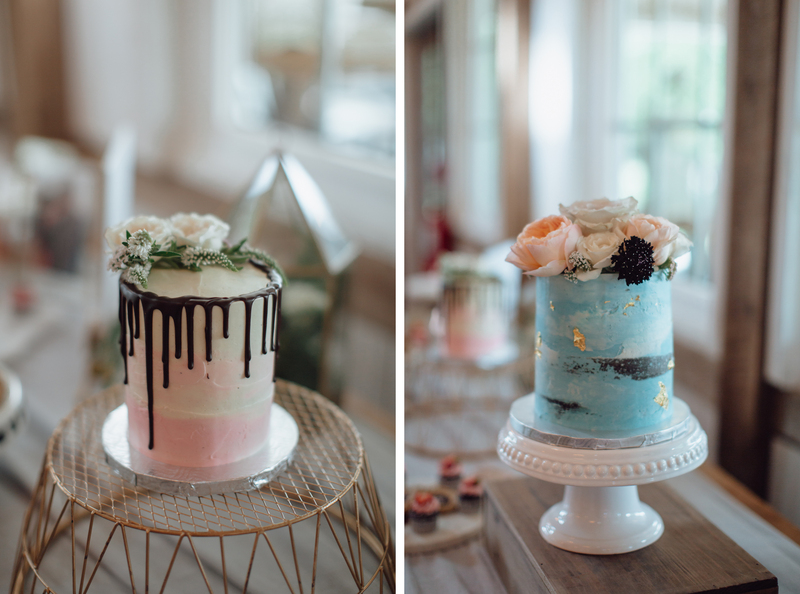 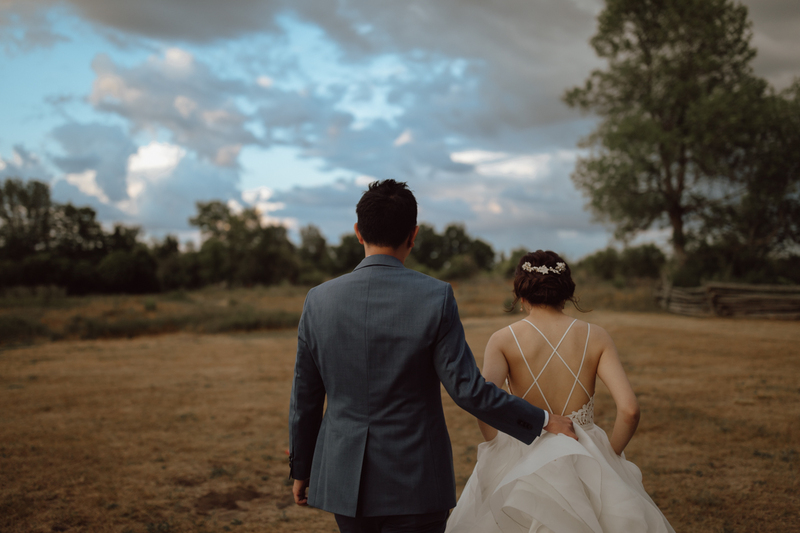 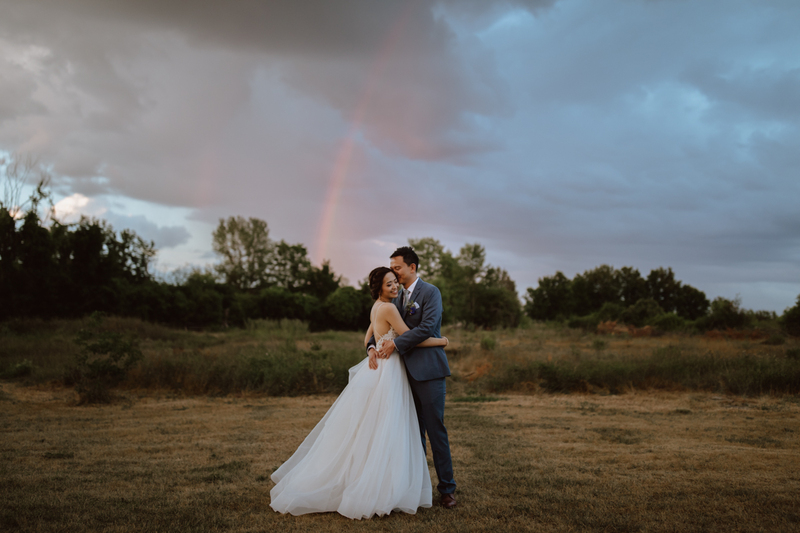 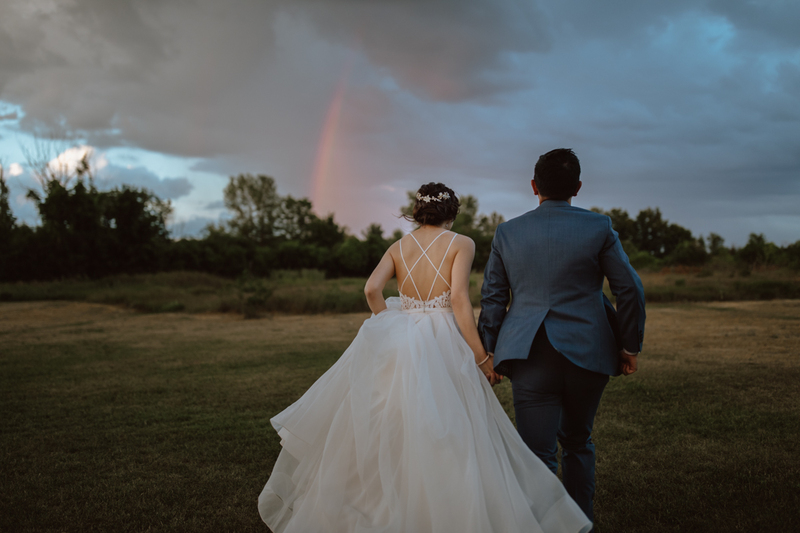 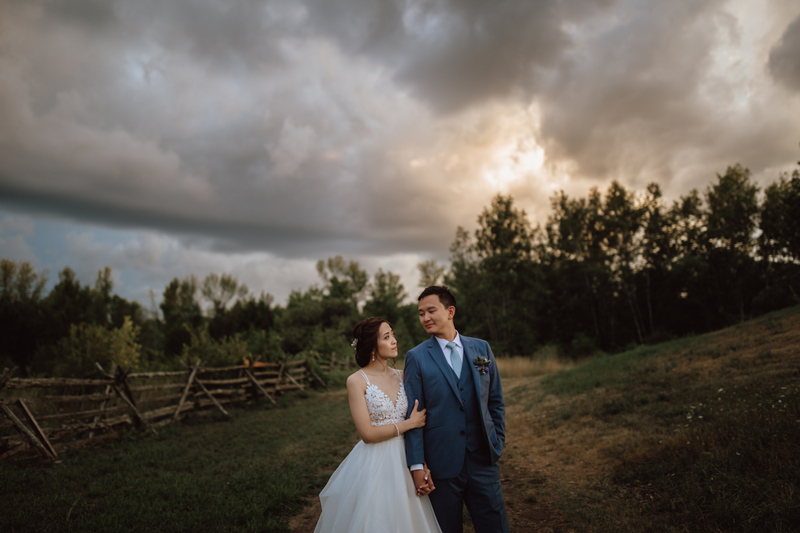 We snuck out around sunset to capture some of the most beautiful last light – and were surprised with some incredible storm clouds and just in case this wedding wasn’t beautiful enough – a rainbow appeared to finish off the evening. 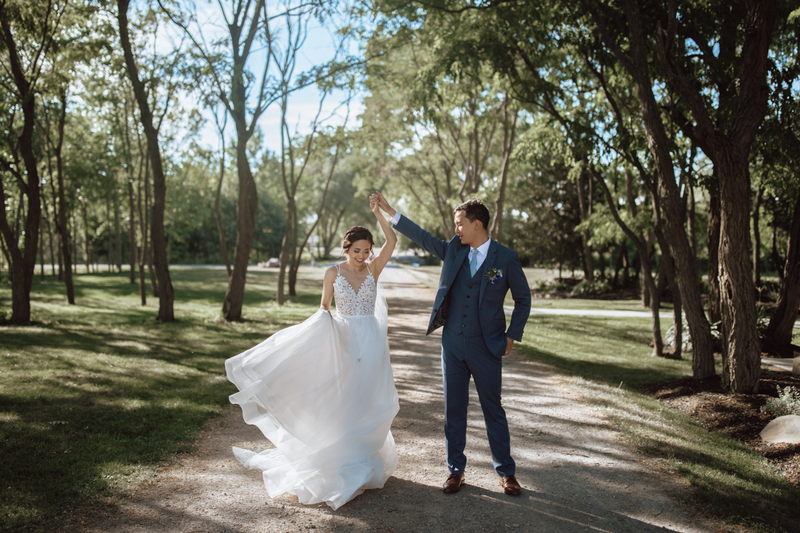 Congrats Danica & Eric and thank you both again for trusting me with your beautiful day. 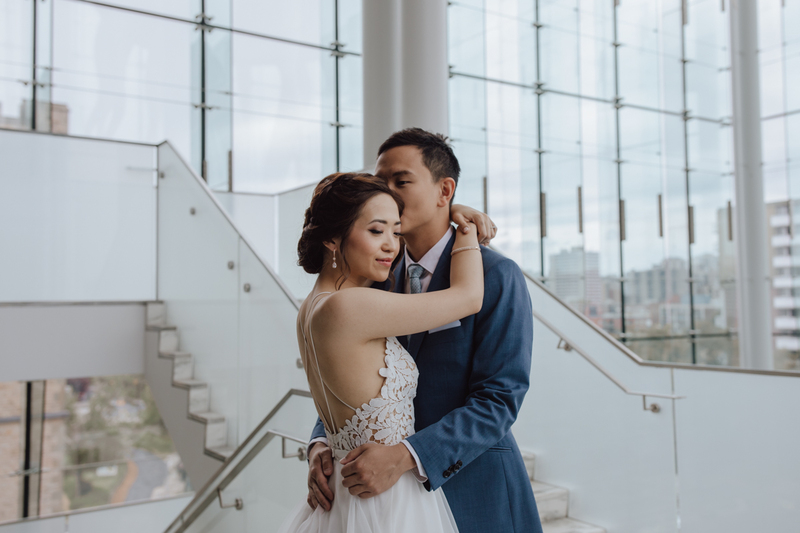 Portraits location: Museum of Nature. 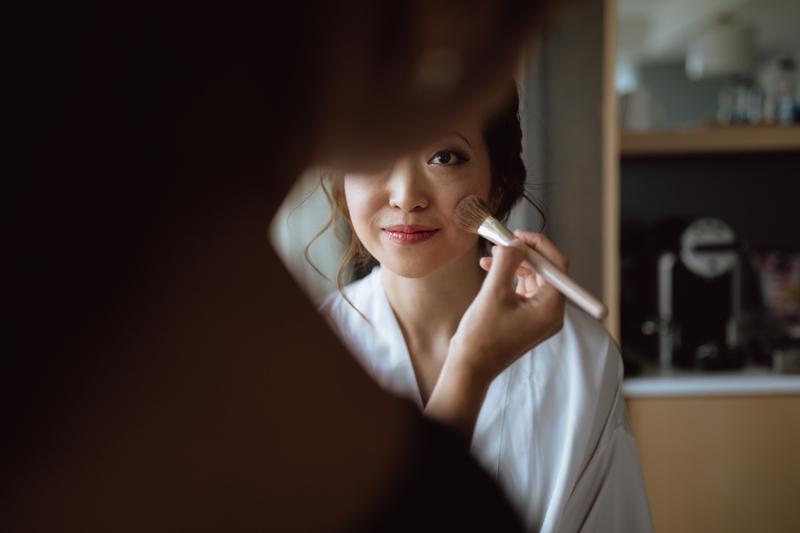 Make-up Artist: One Fine Beauty. 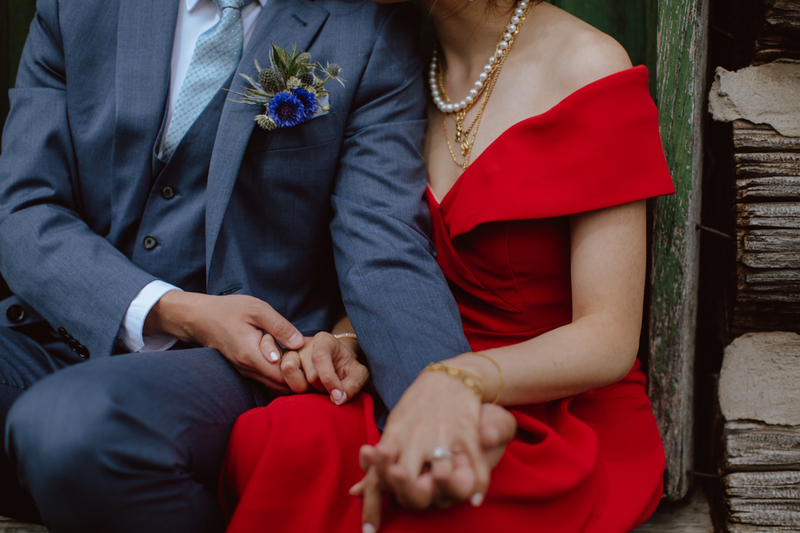 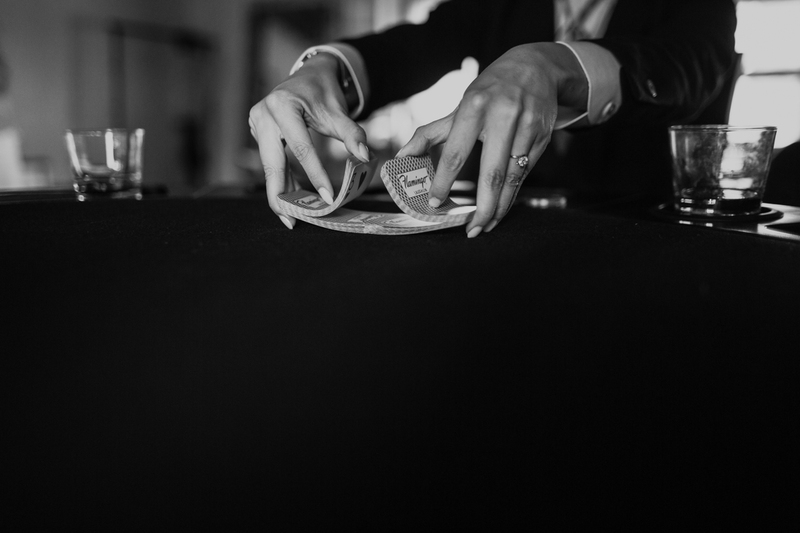 Photography: Agatha Rowland & Liam Rowland. 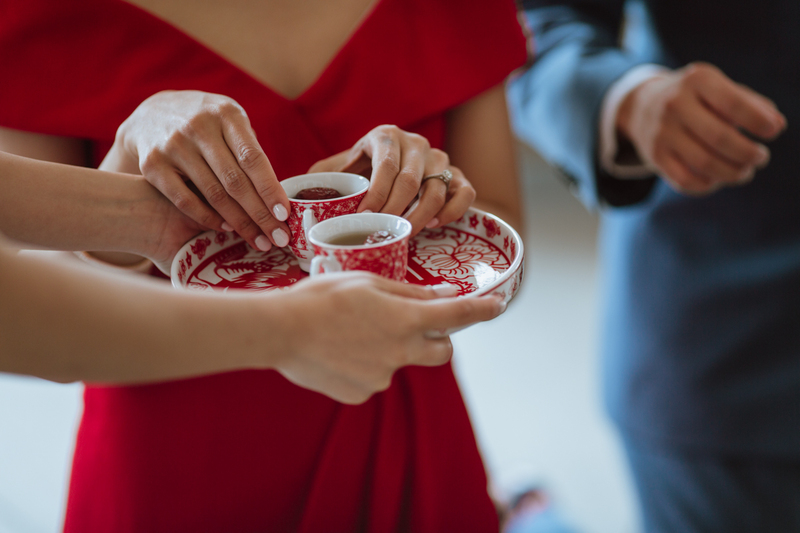 Tea Ceremony dress: Hudson’s Bay.